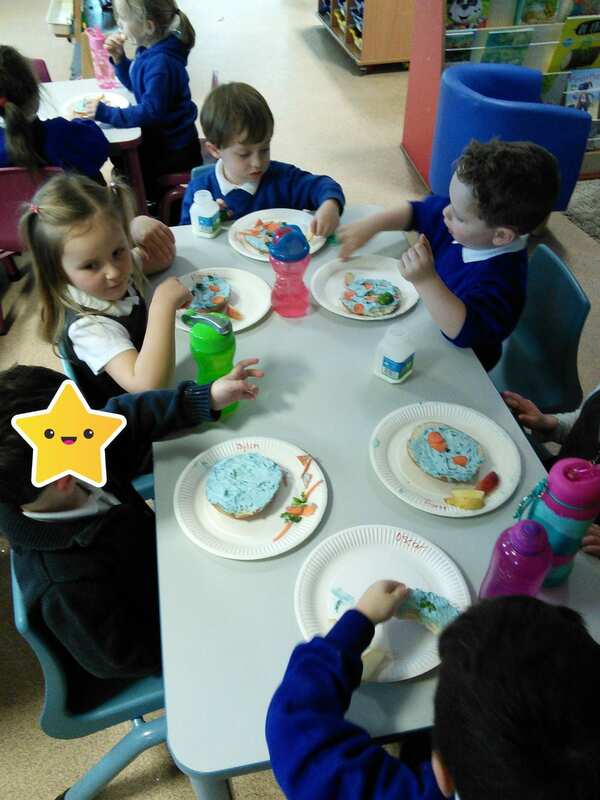 Class 1 are absolutely loving our topic of ‘Under the Sea’. 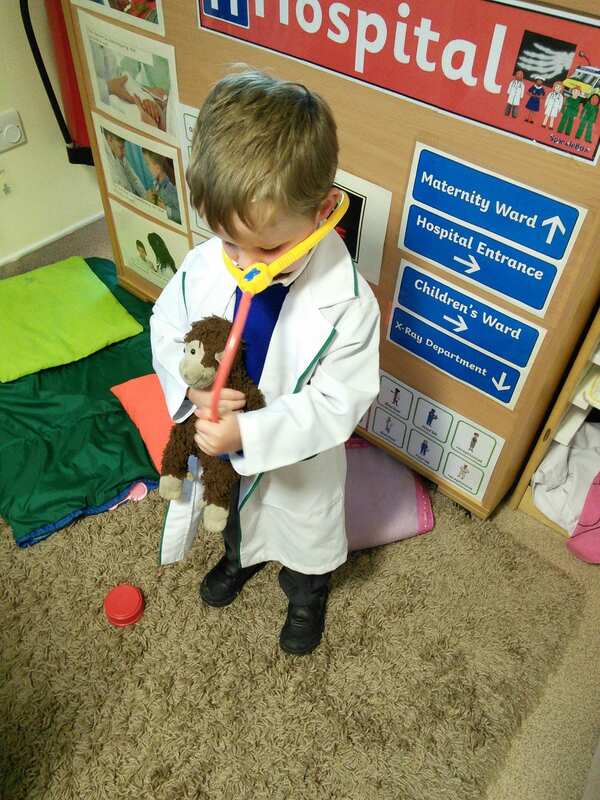 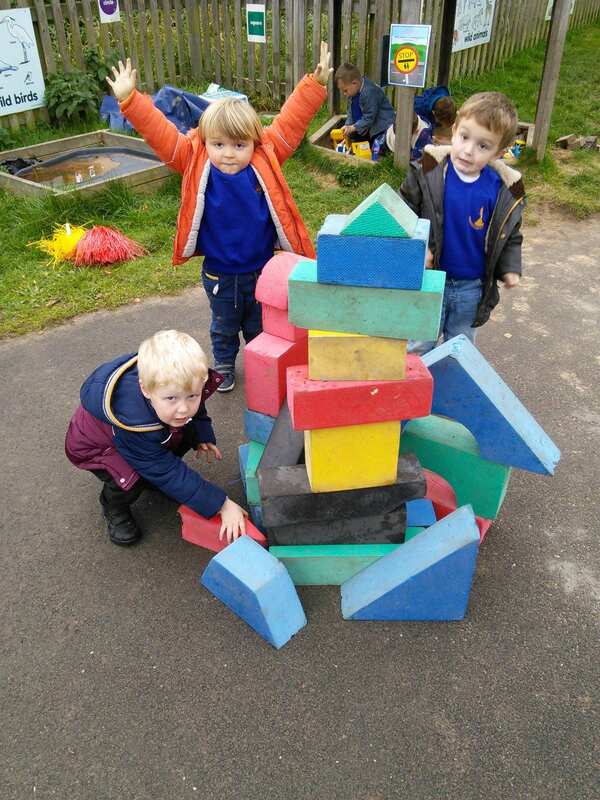 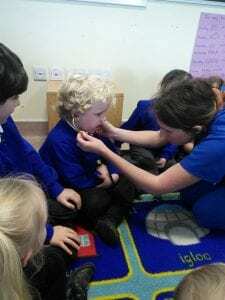 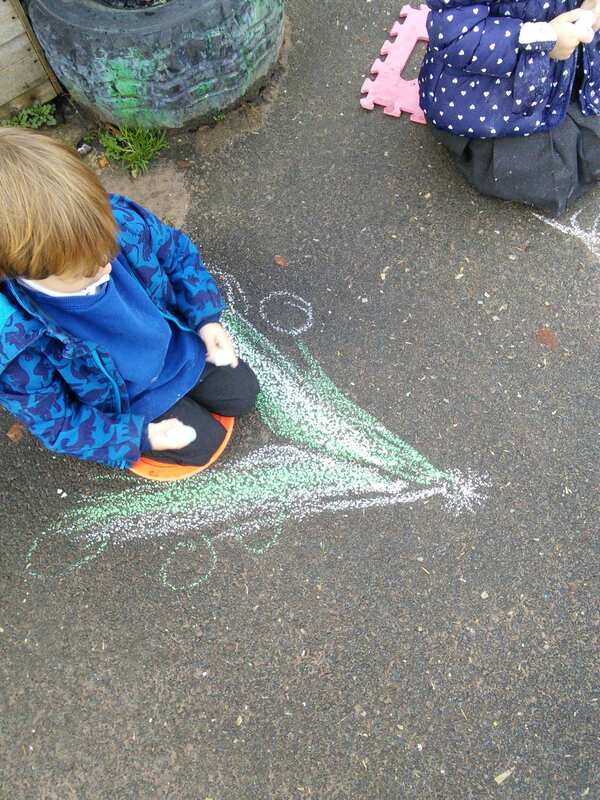 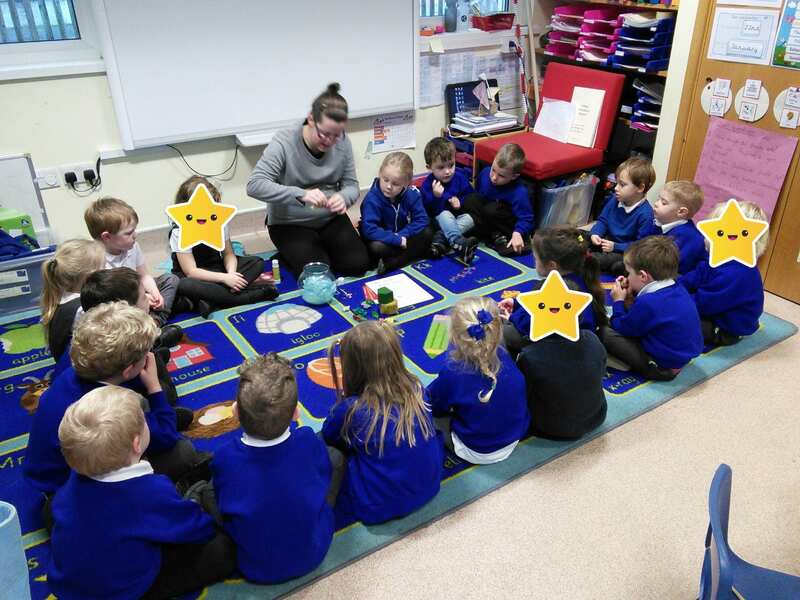 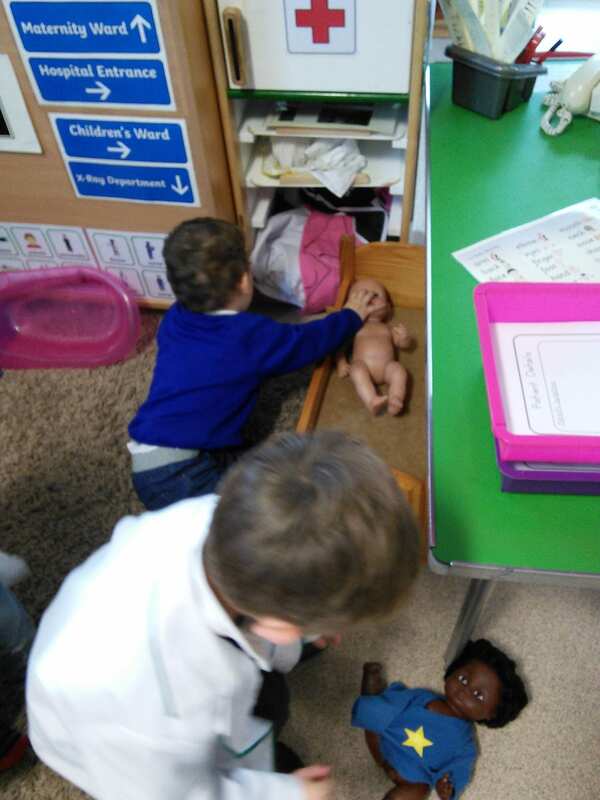 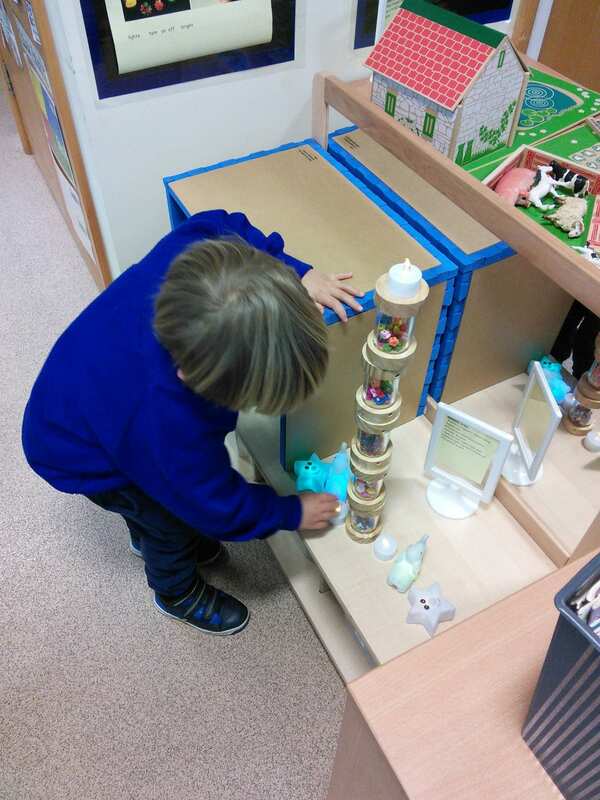 Over the last few weeks, the children have been exploring the concepts ‘fast, slow, noisy and quiet’. 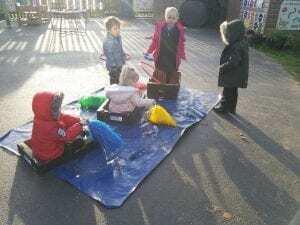 The children have been making sea sounds, and singing songs using their voices, instruments and puppets. 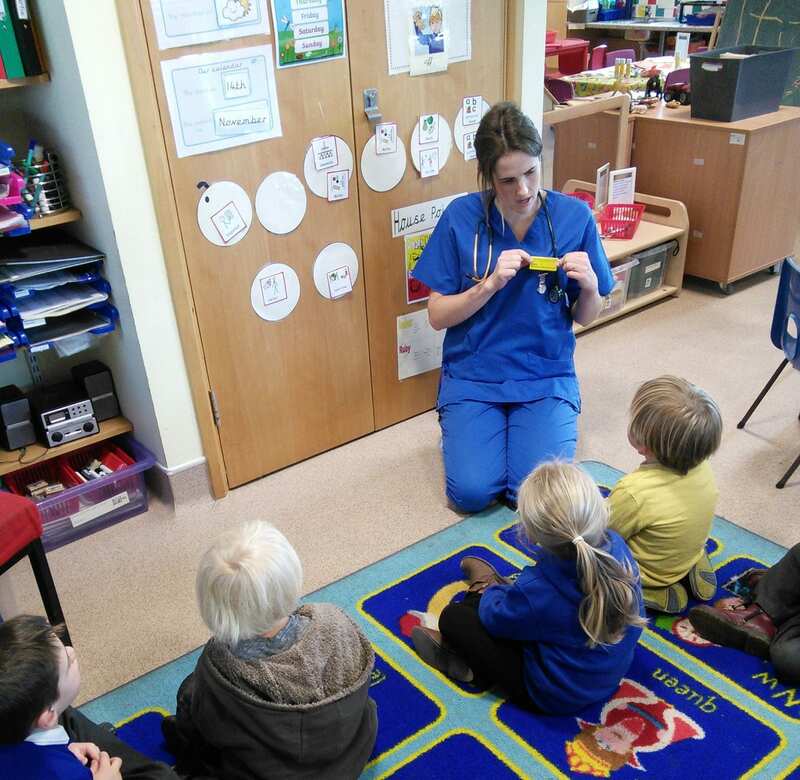 The children have learning about sea creatures that live under the sea, and sea creatures that live in the water. 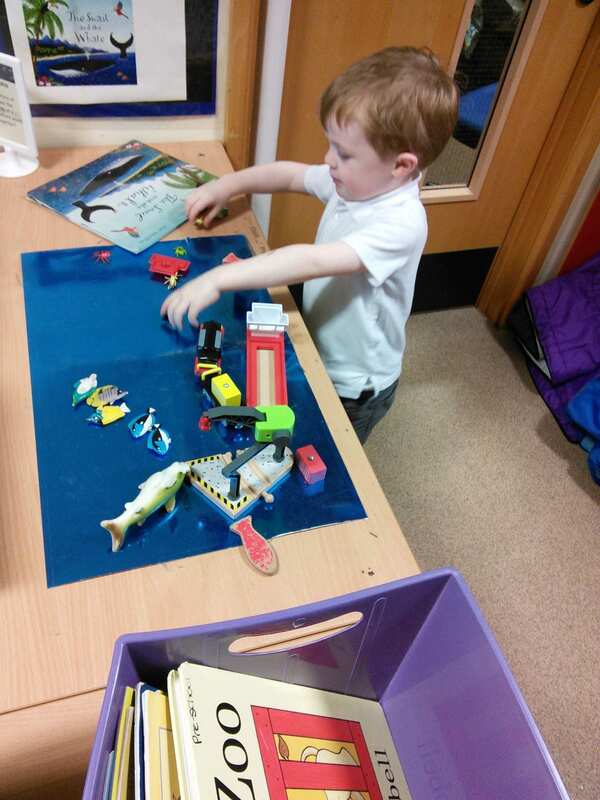 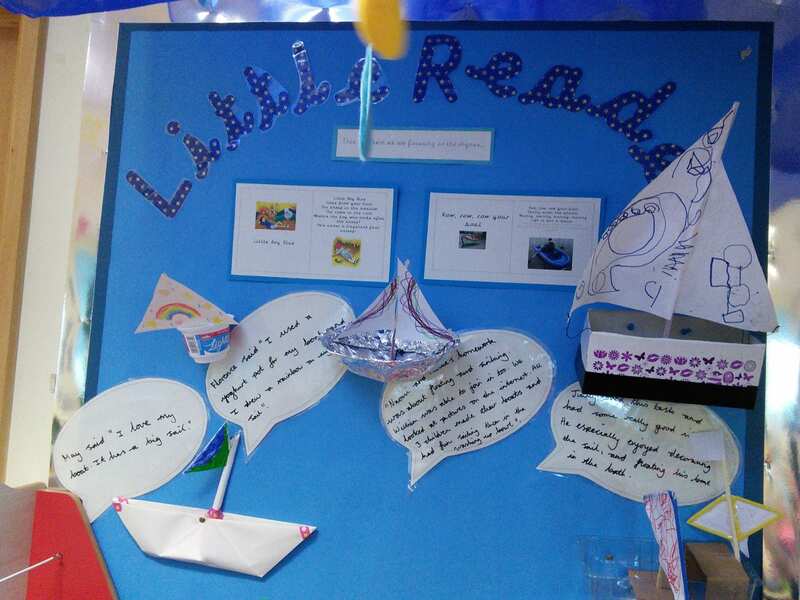 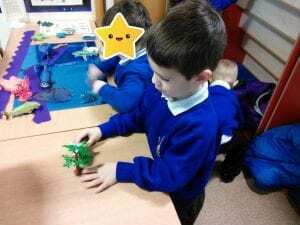 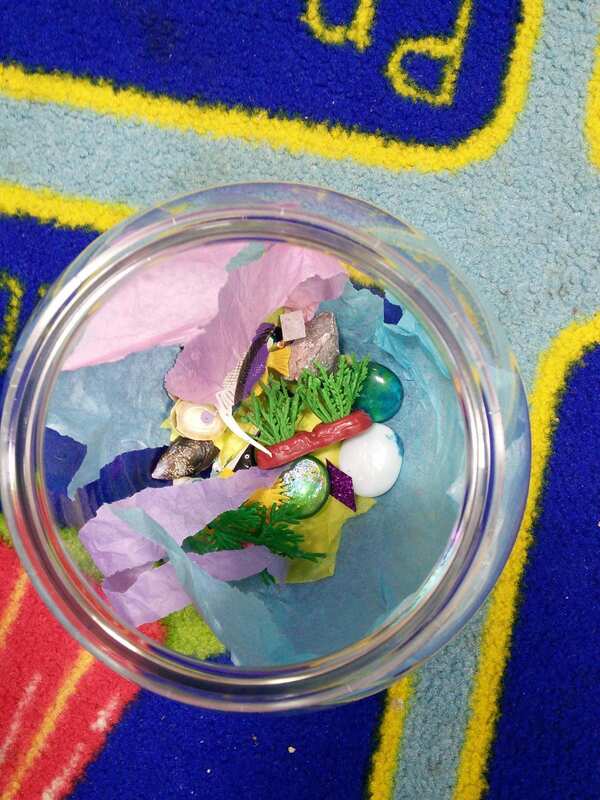 The children have been exploring and recreating sea stories using props and resources. 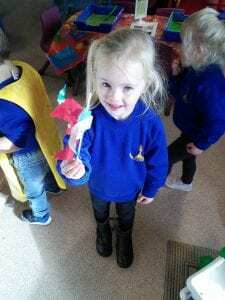 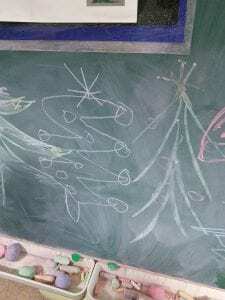 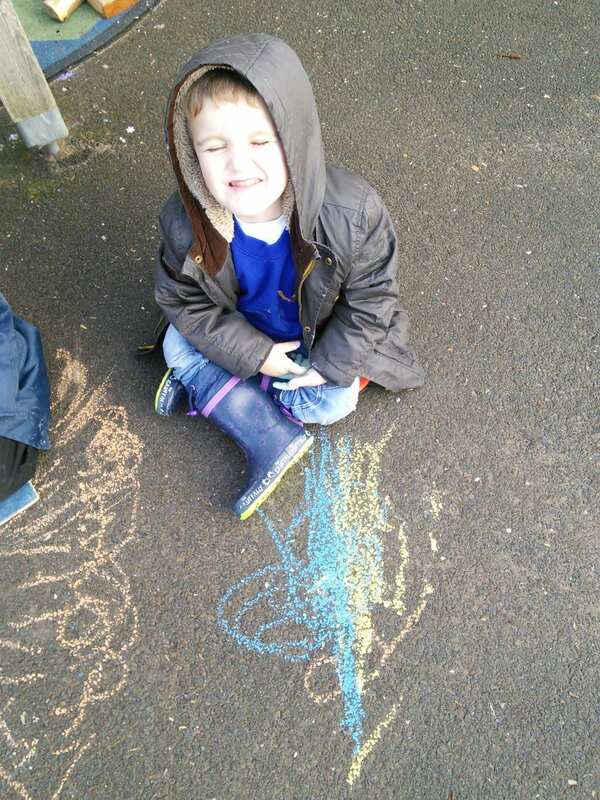 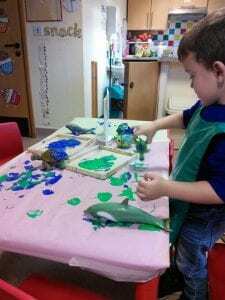 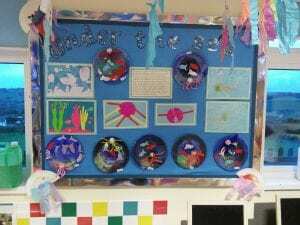 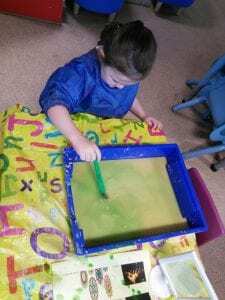 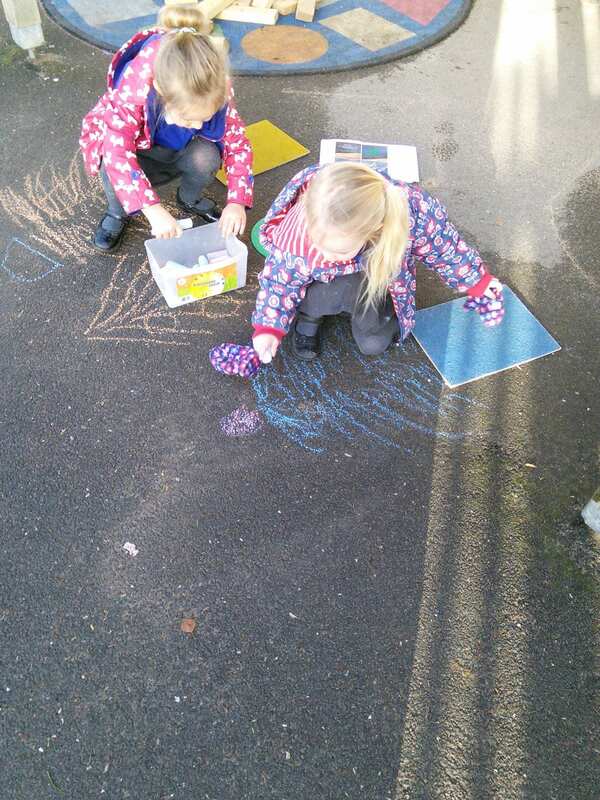 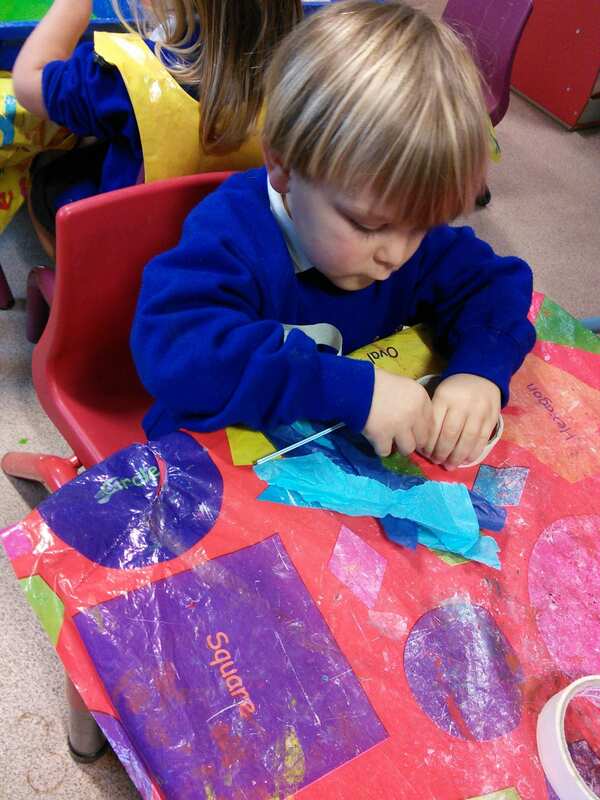 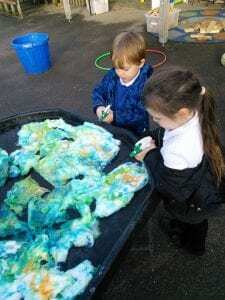 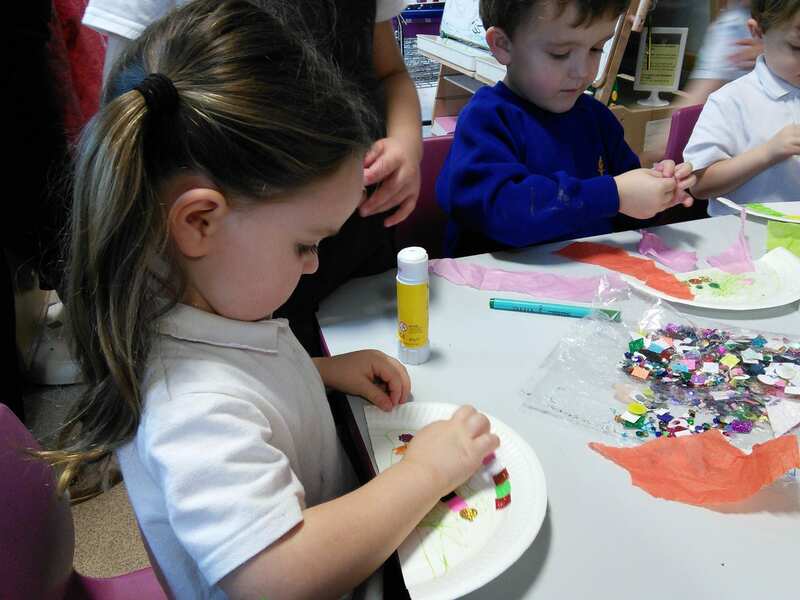 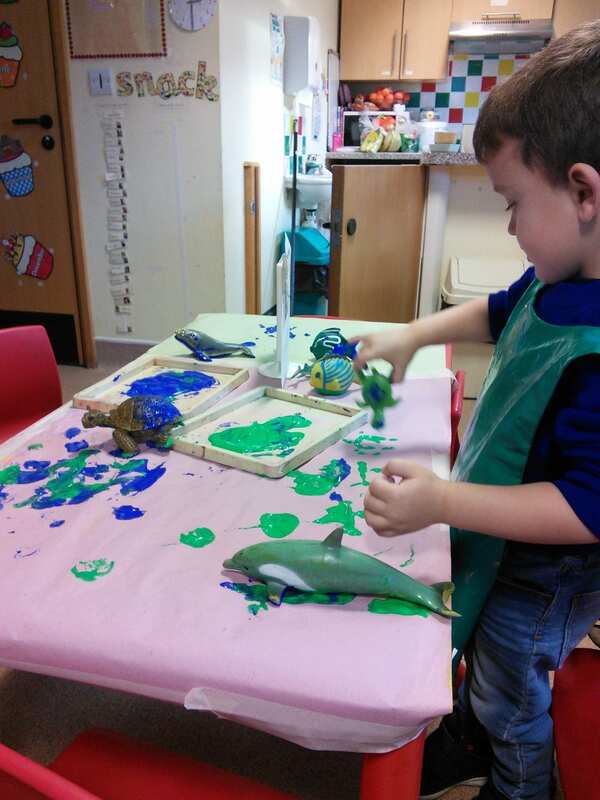 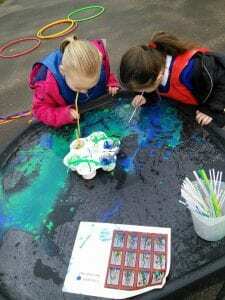 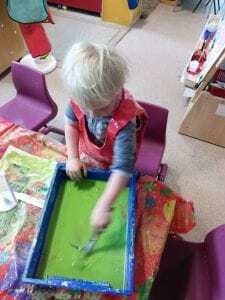 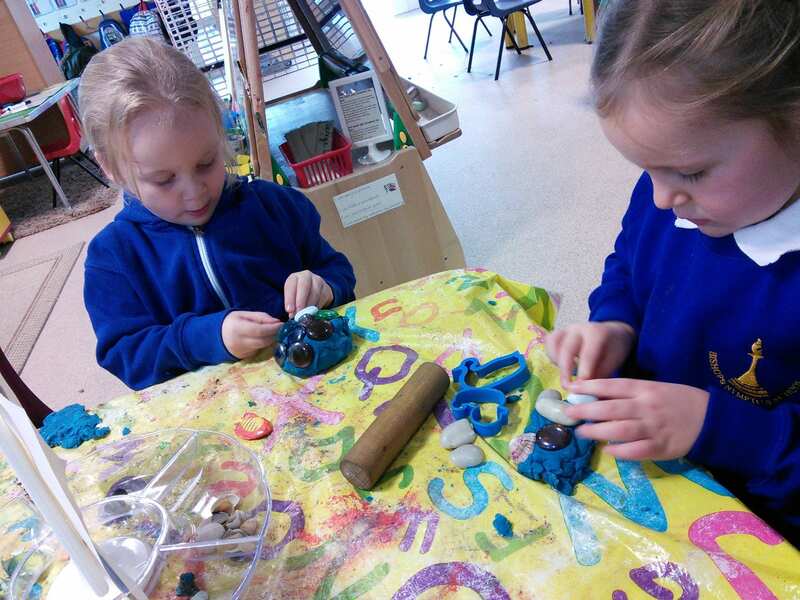 The children have also created various sea creatures in art and write dance, exploring various skills and techniques. 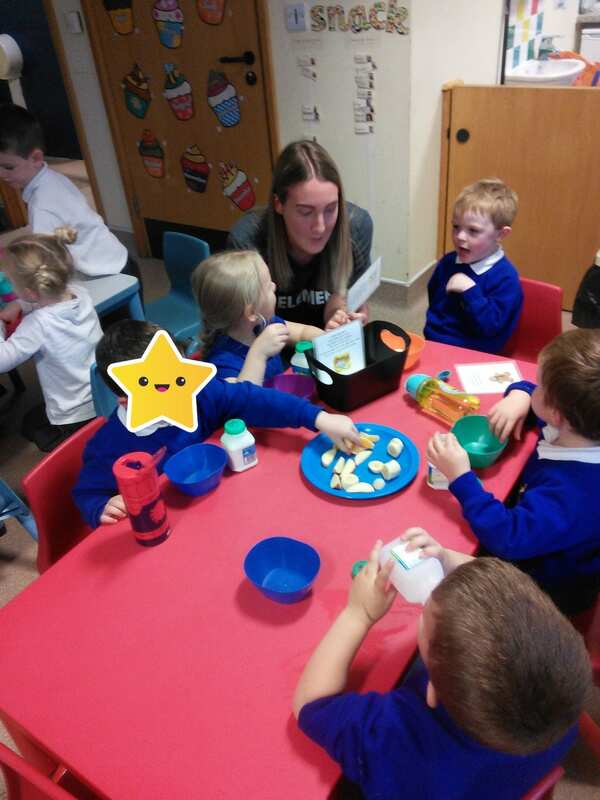 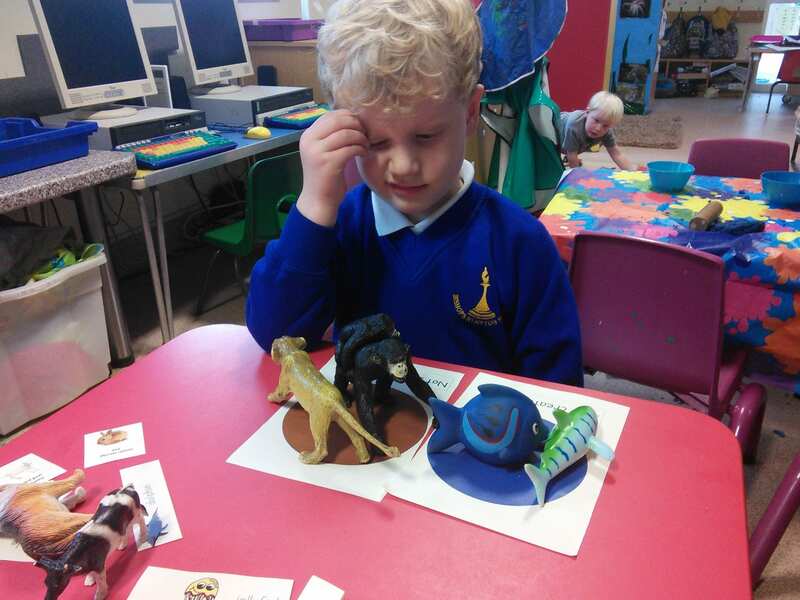 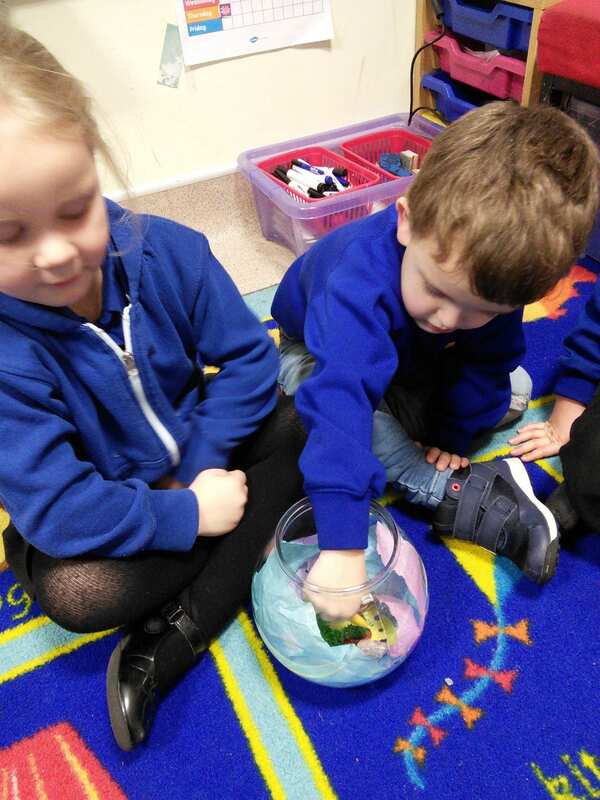 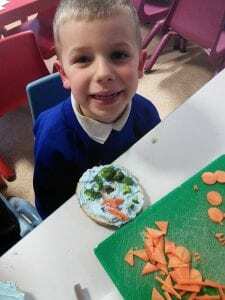 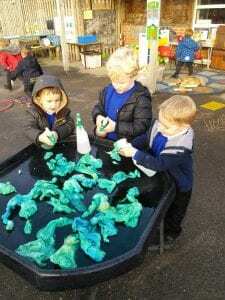 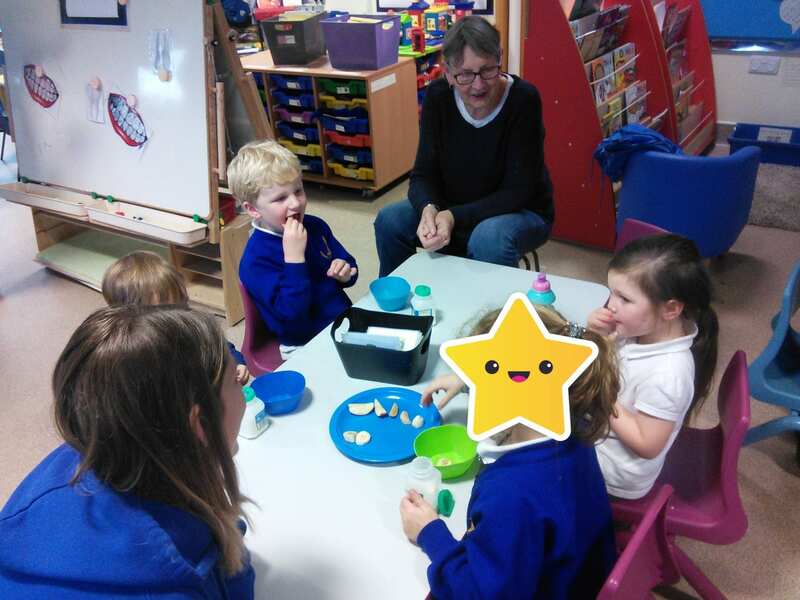 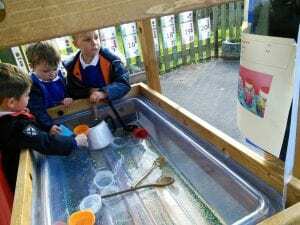 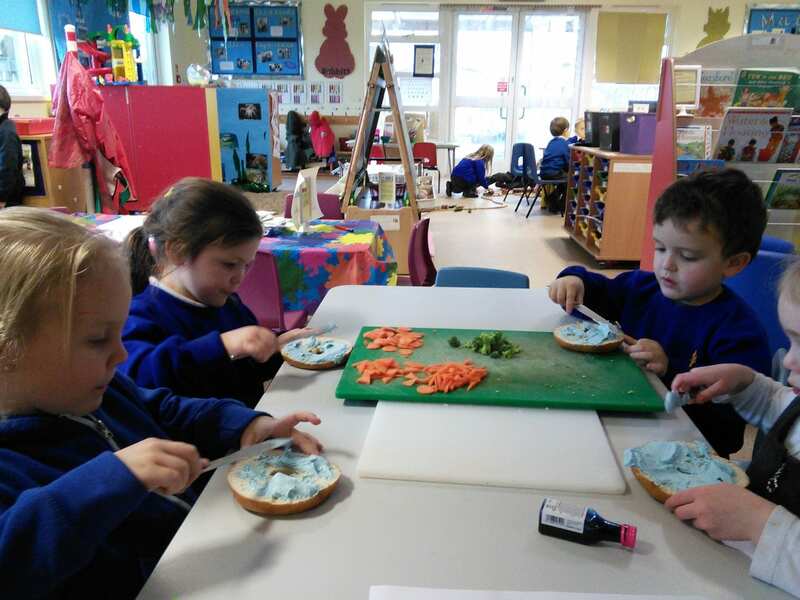 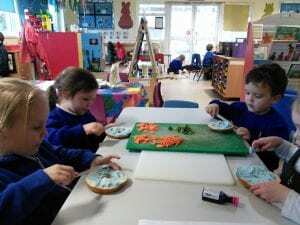 The children have been learning about habitats – where the sea creatures live, what they eat and what you might find in their home. 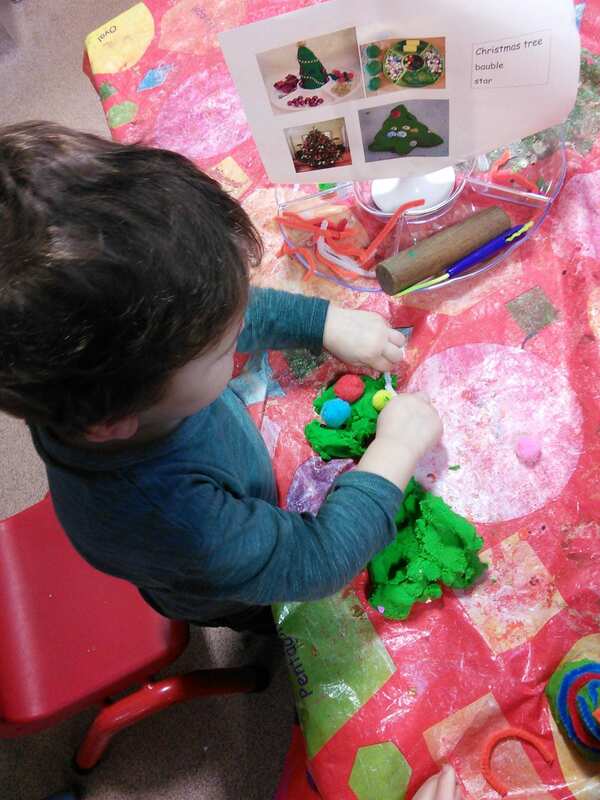 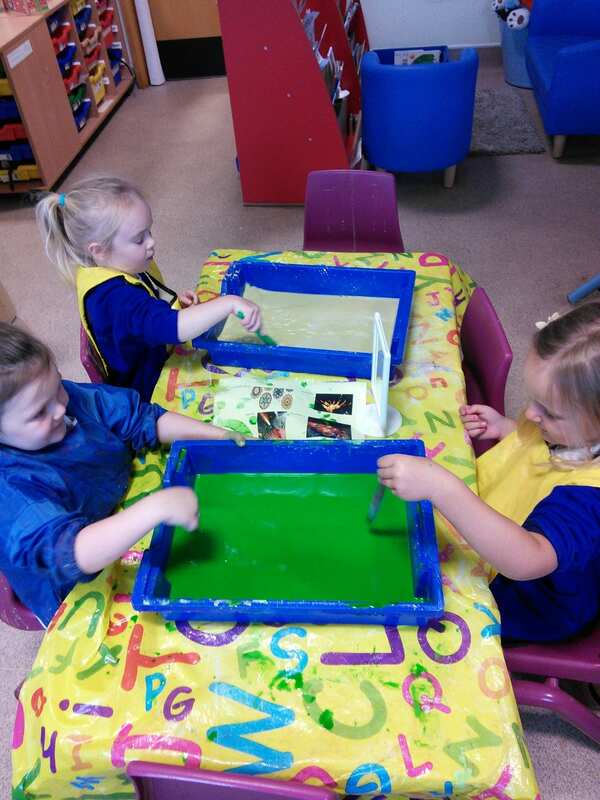 We have been exploring habitats through art, cooking, story time and during other activities too. 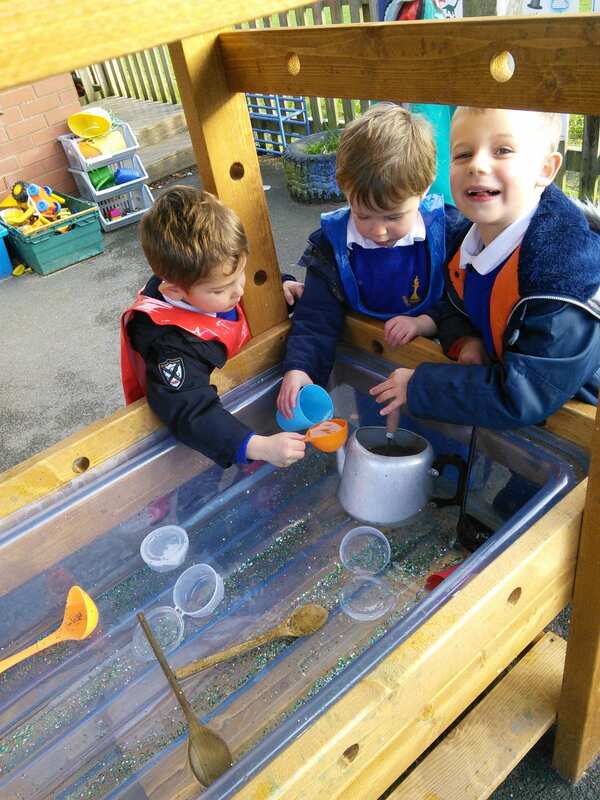 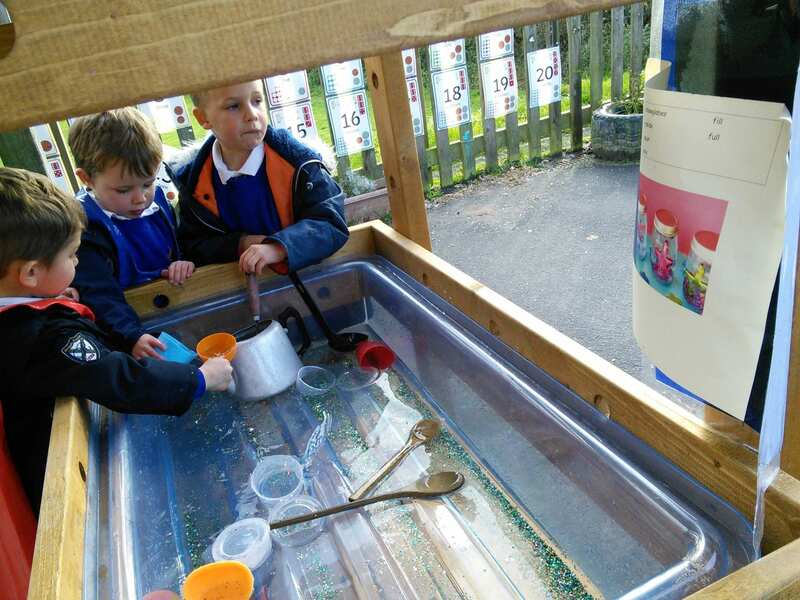 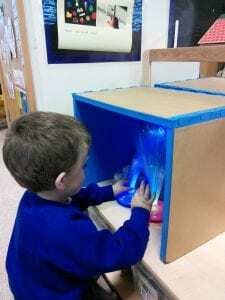 The children have also been learning about aquariums too, and we made our own class 1 aquarium (only pretend). 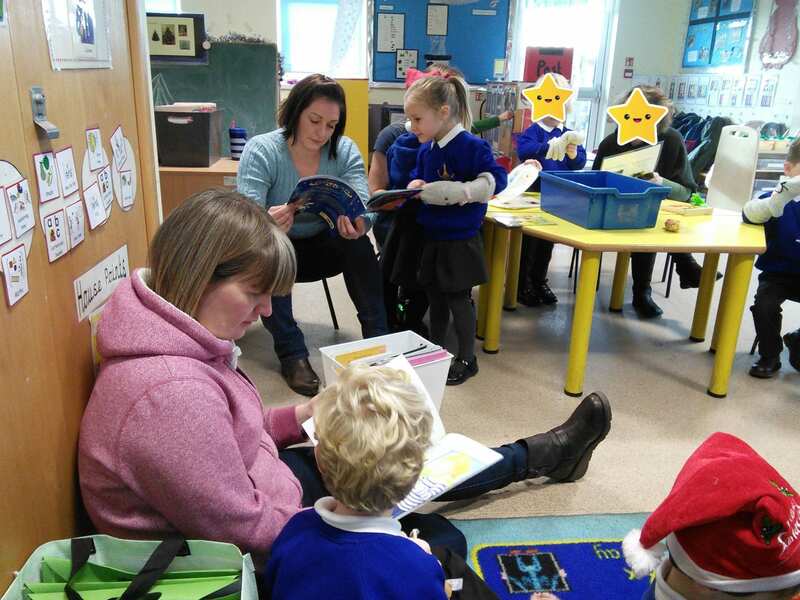 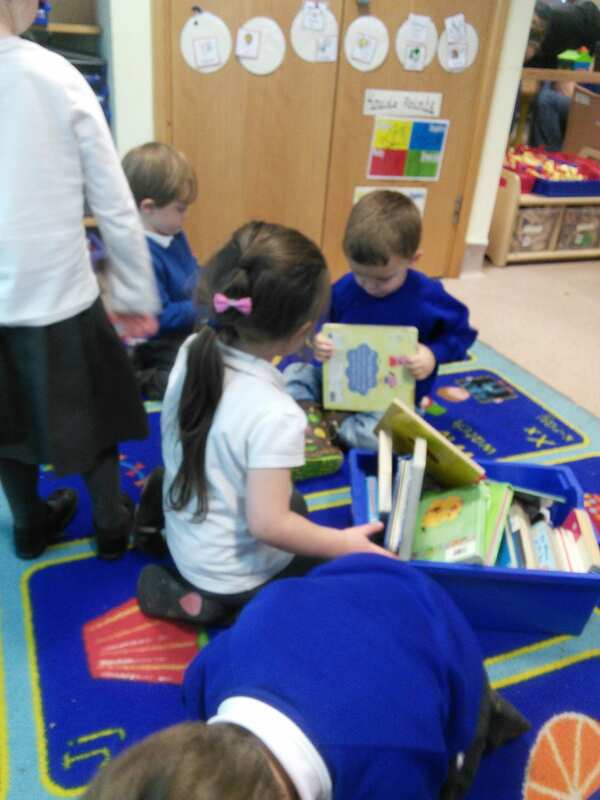 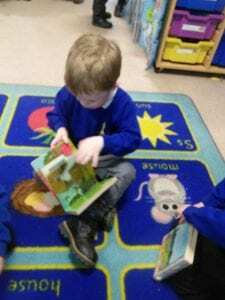 The children are especially enthusiastic about this terms Little Readers. 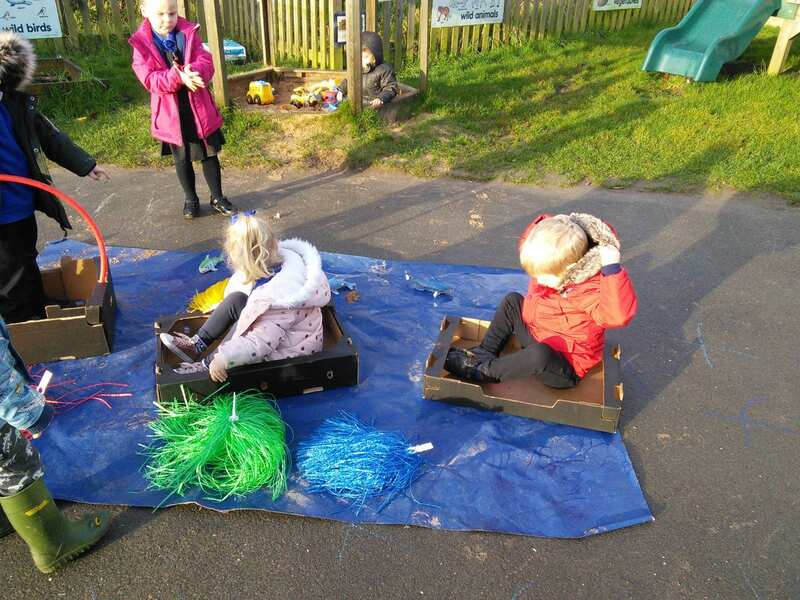 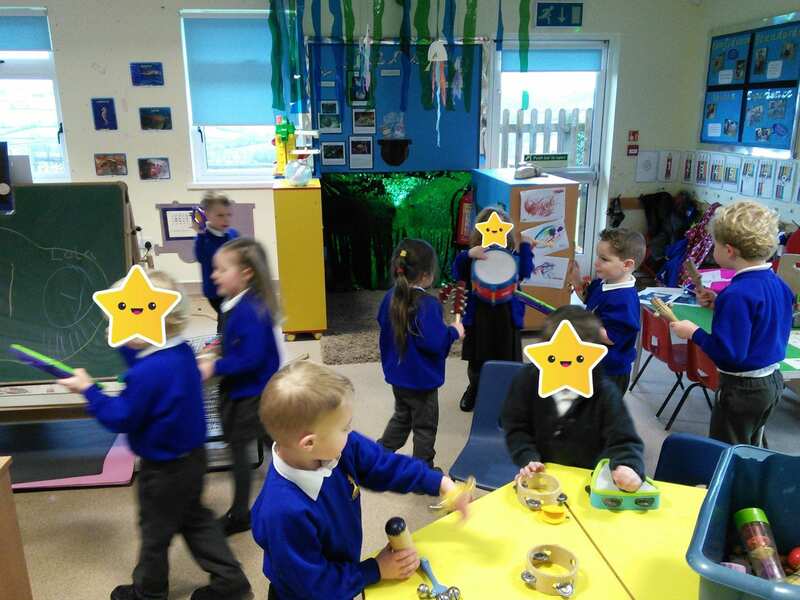 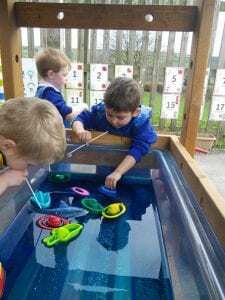 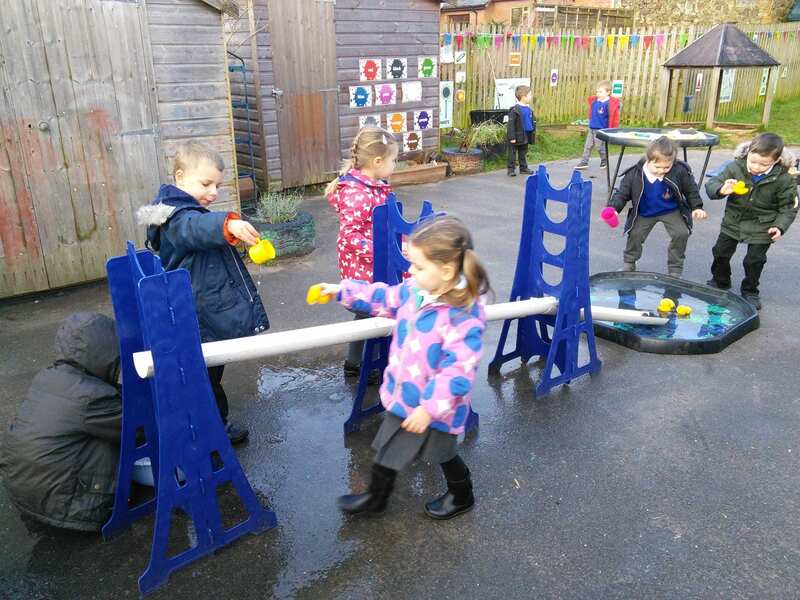 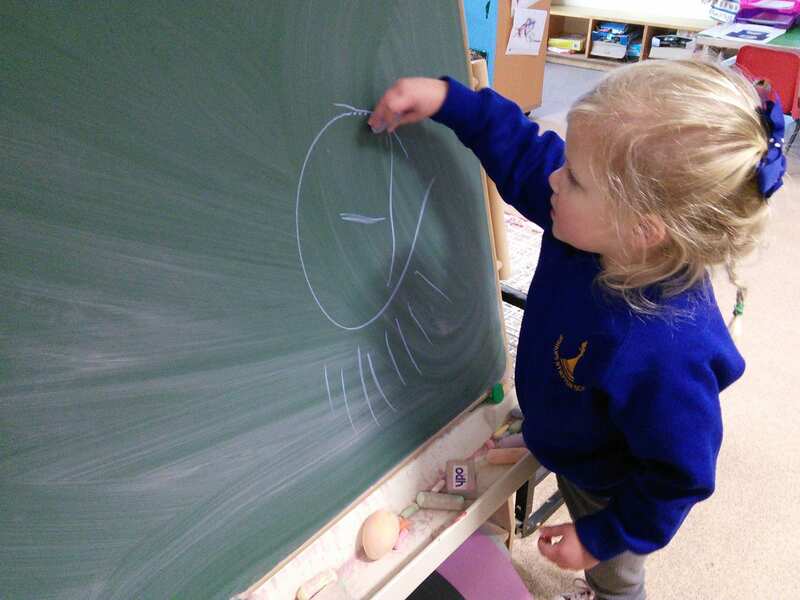 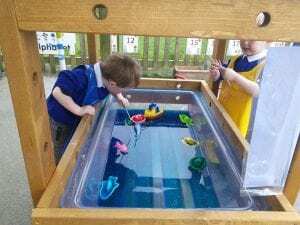 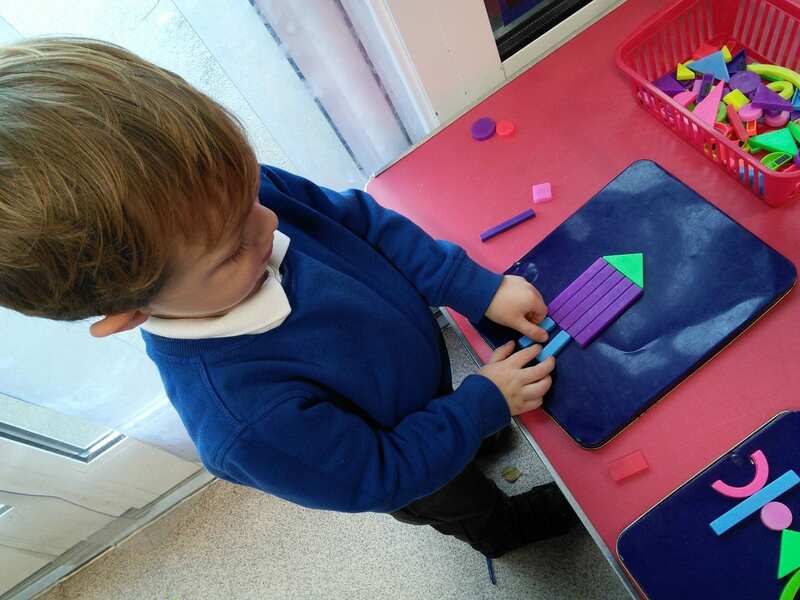 The younger nursery are exploring the rhyme ‘Little Boy Blue’; and the older nursery are exploring the rhyme ‘Row, Row, Row your Boat’. 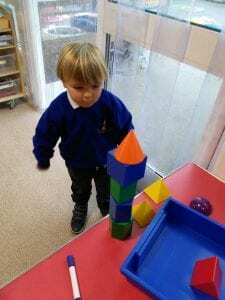 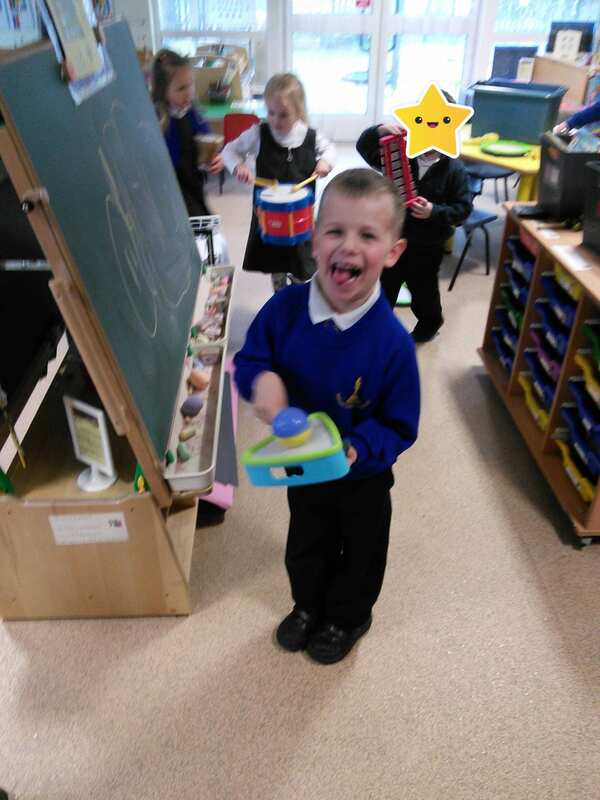 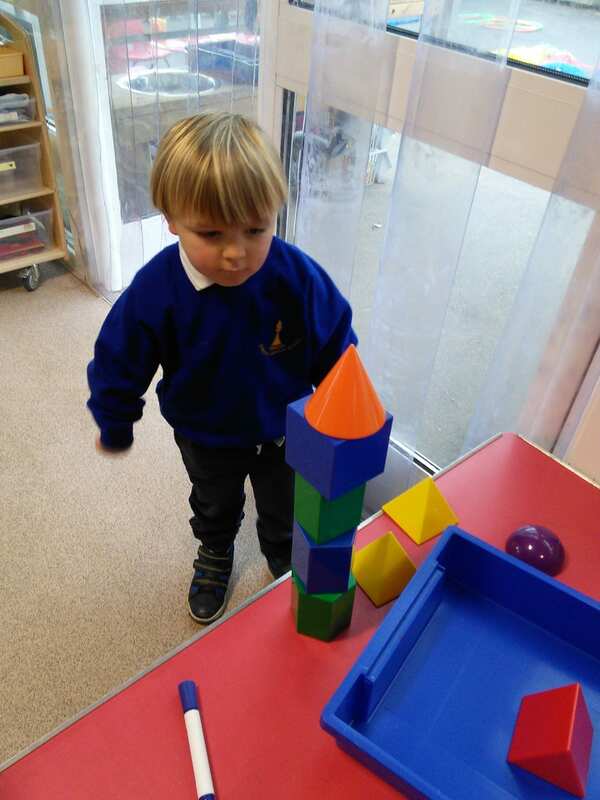 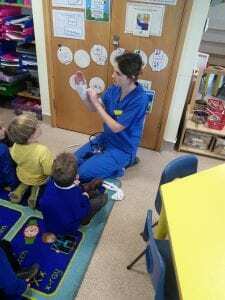 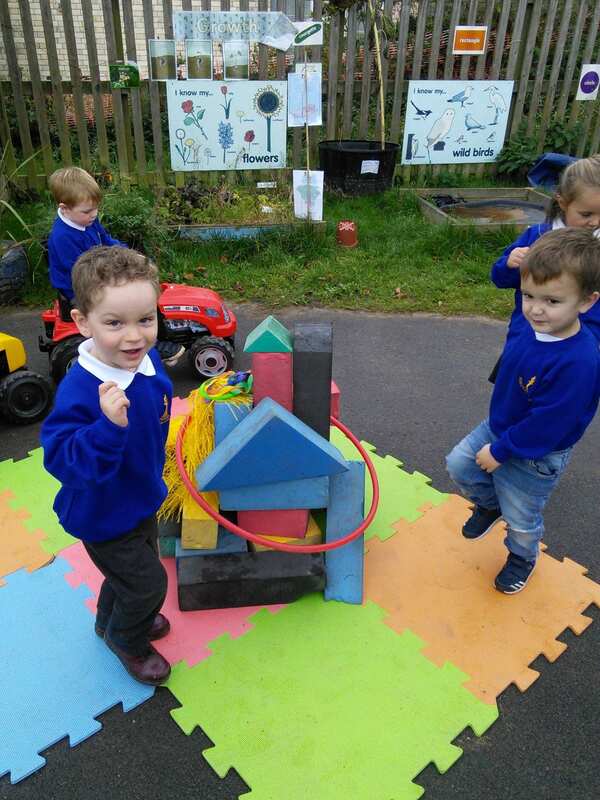 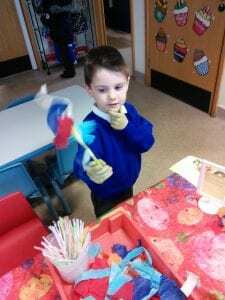 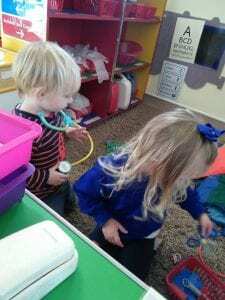 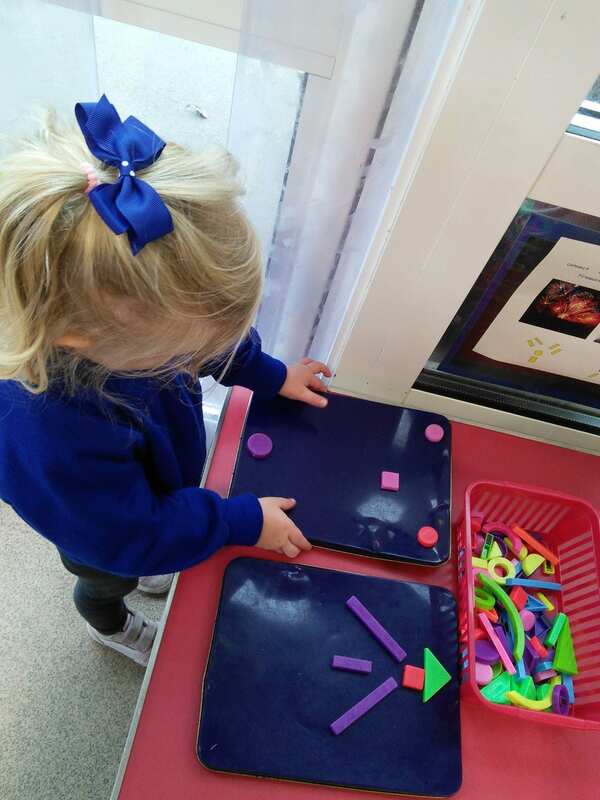 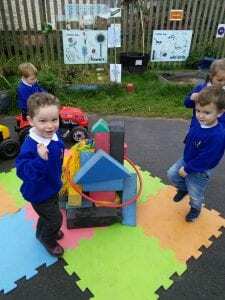 The children have been exploring the rhymes at home and have loved sharing their creations with their friends in class. 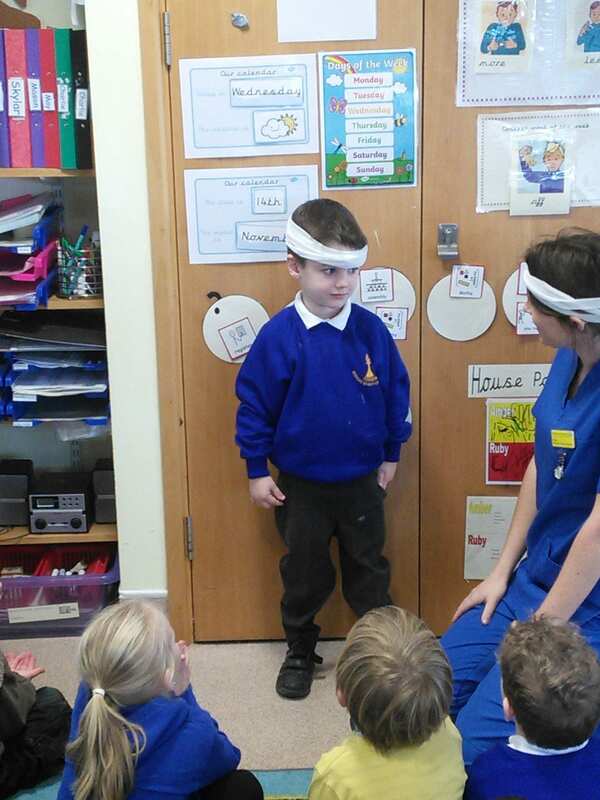 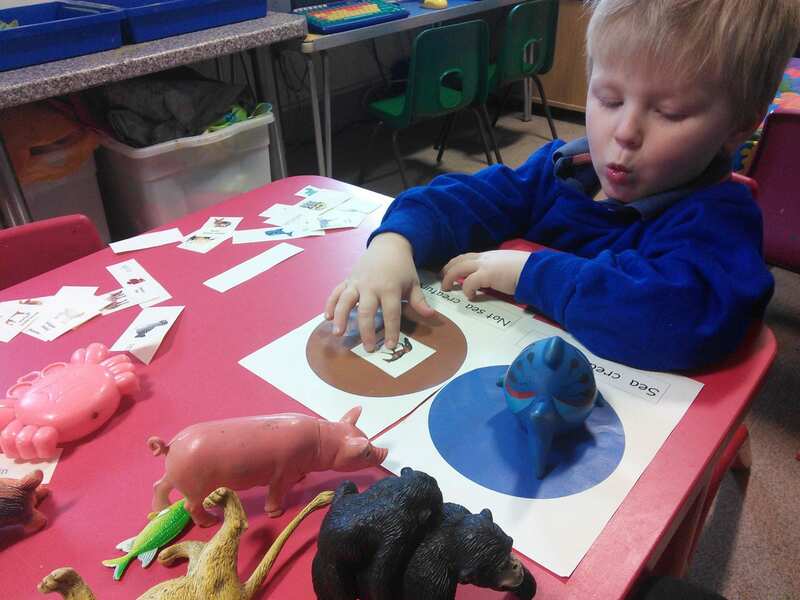 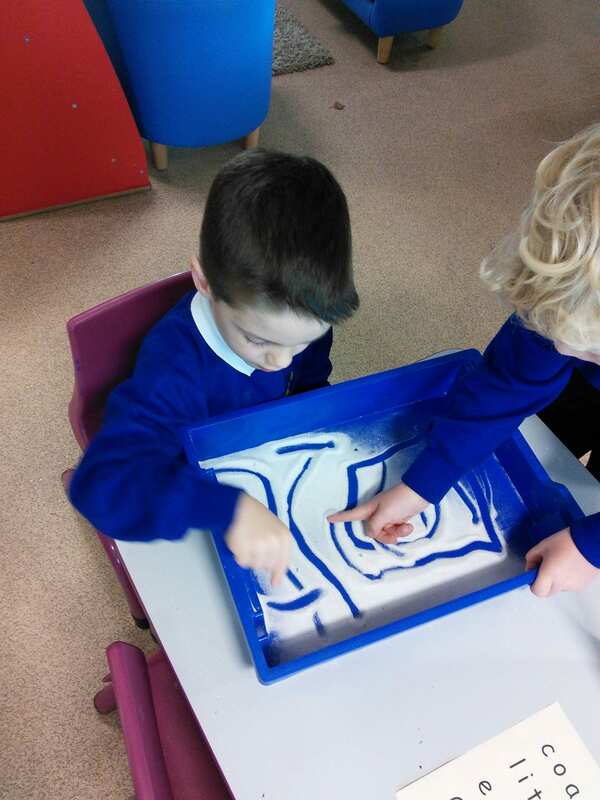 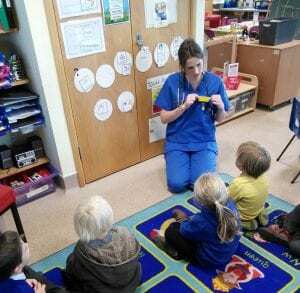 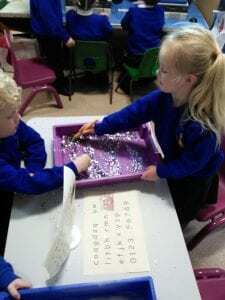 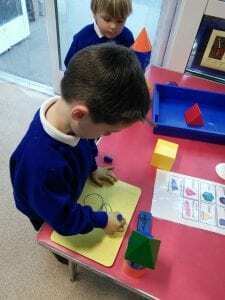 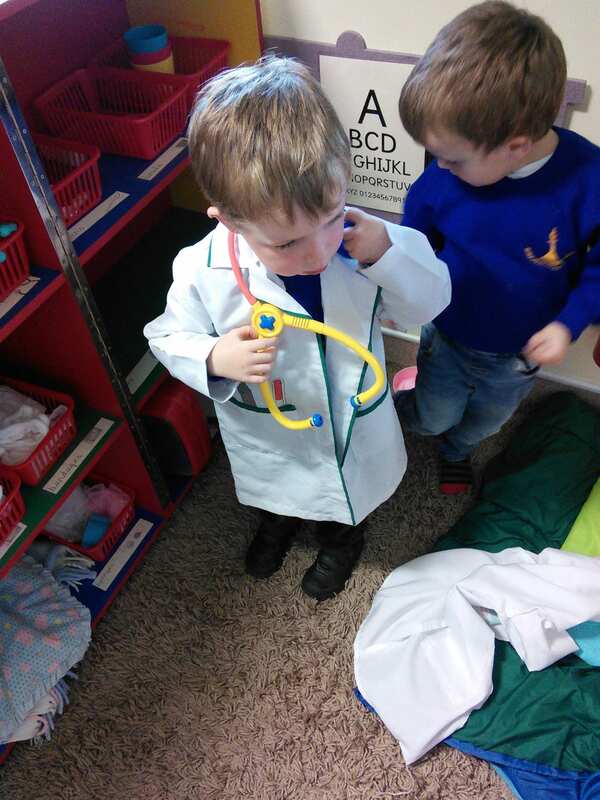 The children have carried on their learning through activities within class 1 as part of our topic too. 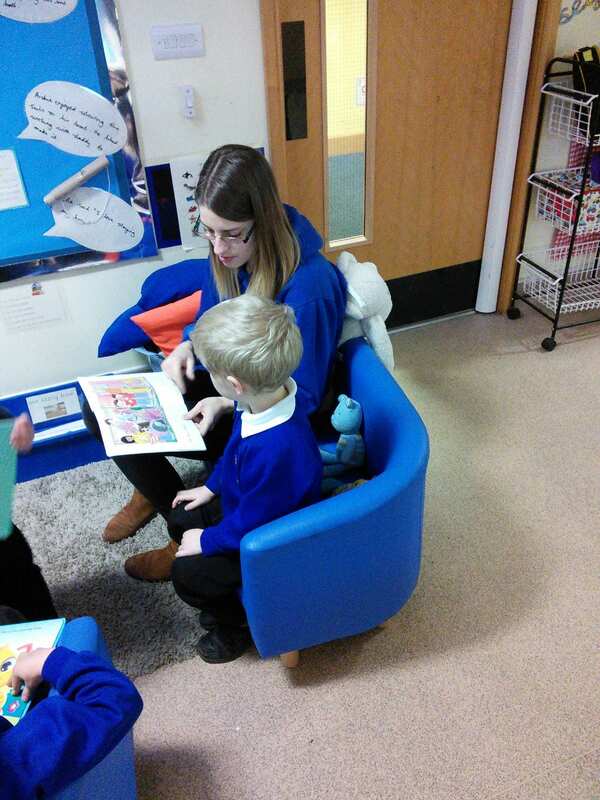 Please ensure your child’s Little Readers bookbag is returned to school on time so other children can all have ago. 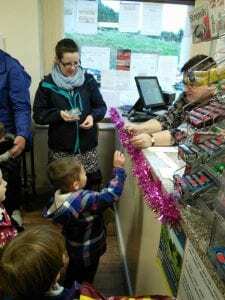 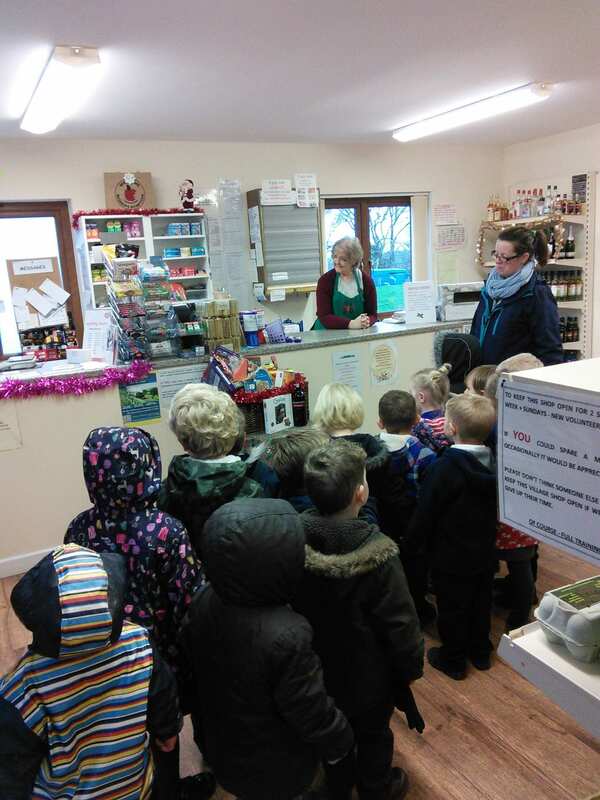 Class 1 loved visiting the Post Office today. 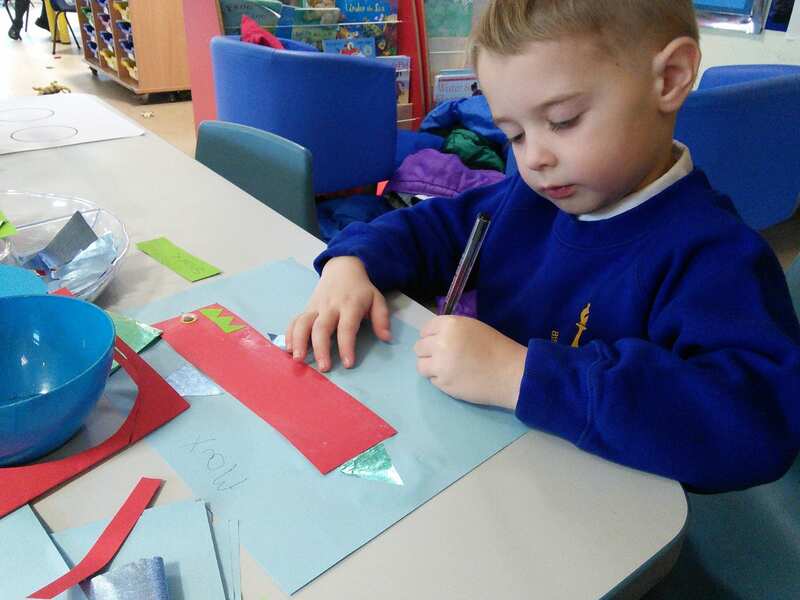 The children have been learning about Christmas, making and writing Christmas cards, and learning about and using money recently. 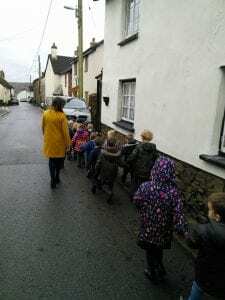 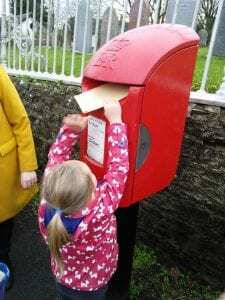 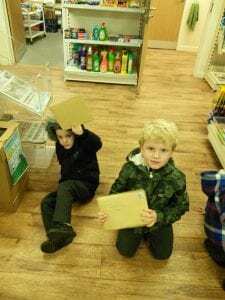 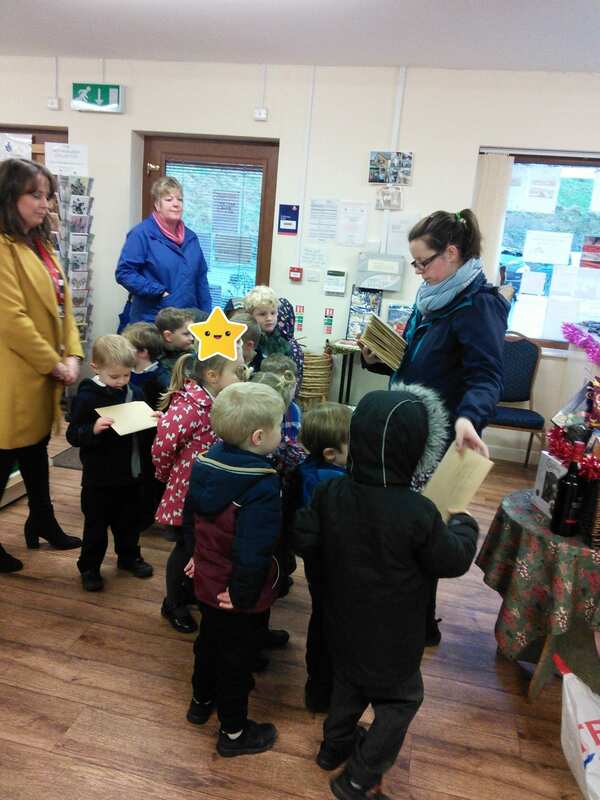 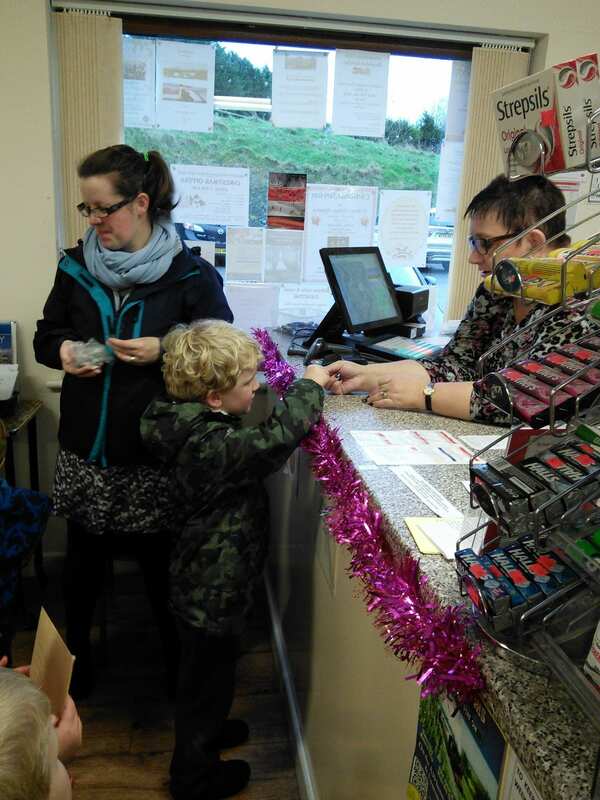 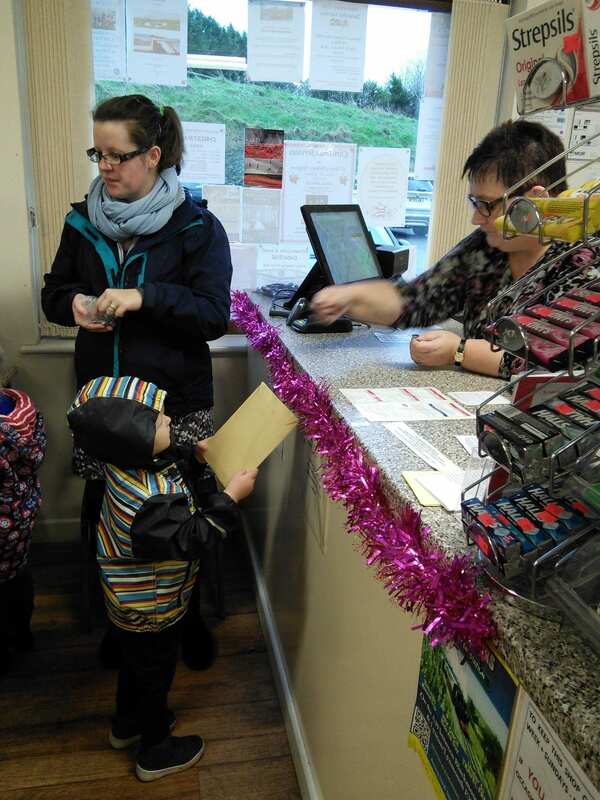 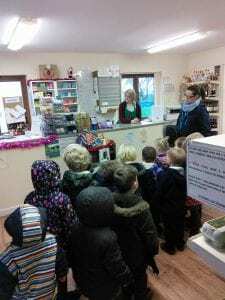 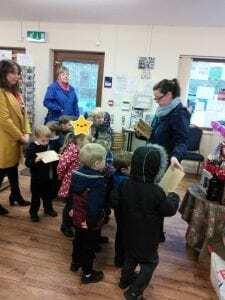 The children finished their learning with a trip to the Post Office. 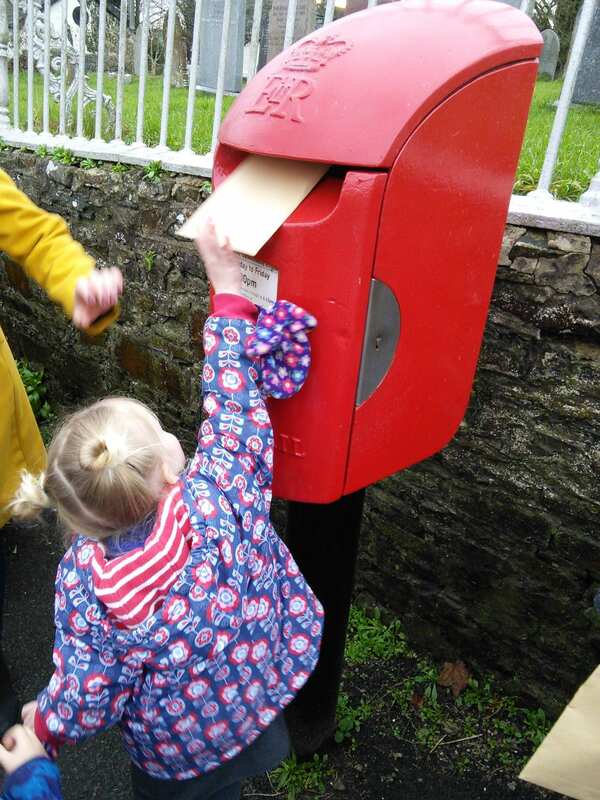 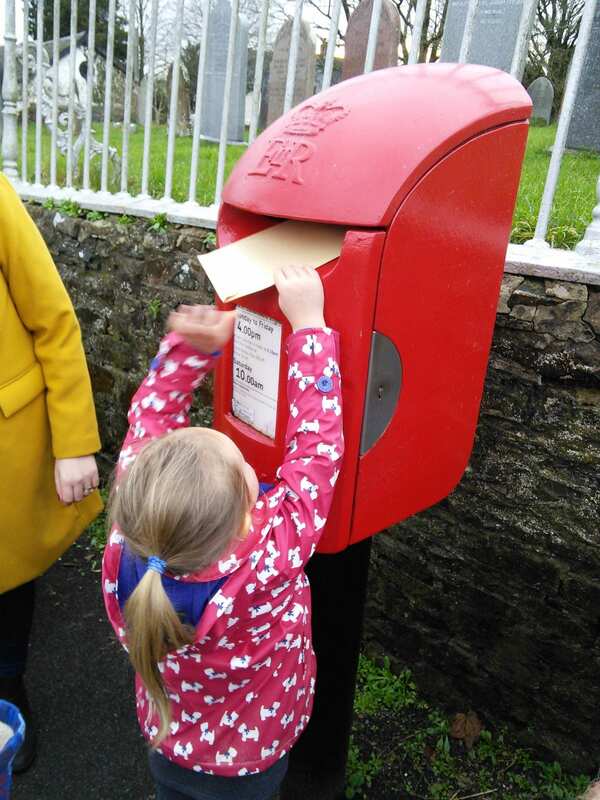 and walked to the post box and posted their envelope (with their special surprise inside). 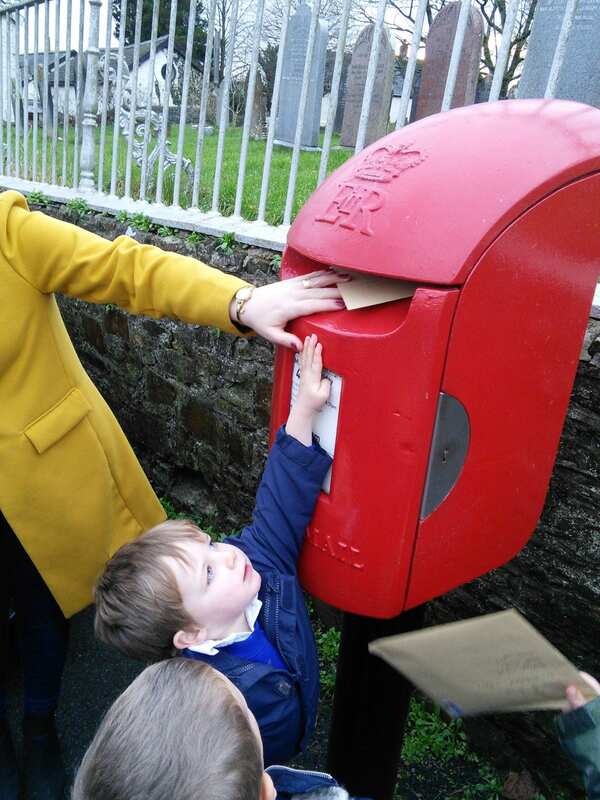 All parents should receive a surprise in the post in the next few days, so keep a look out for a special little something in a brown envelope. We hope you like it!! 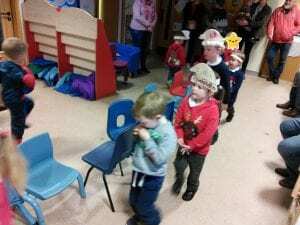 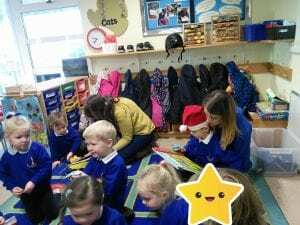 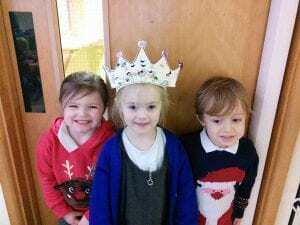 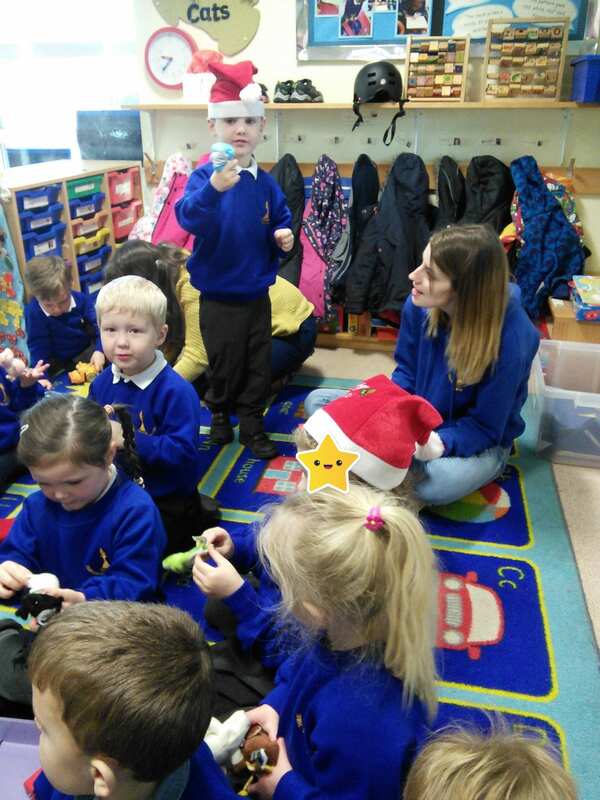 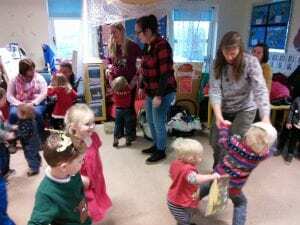 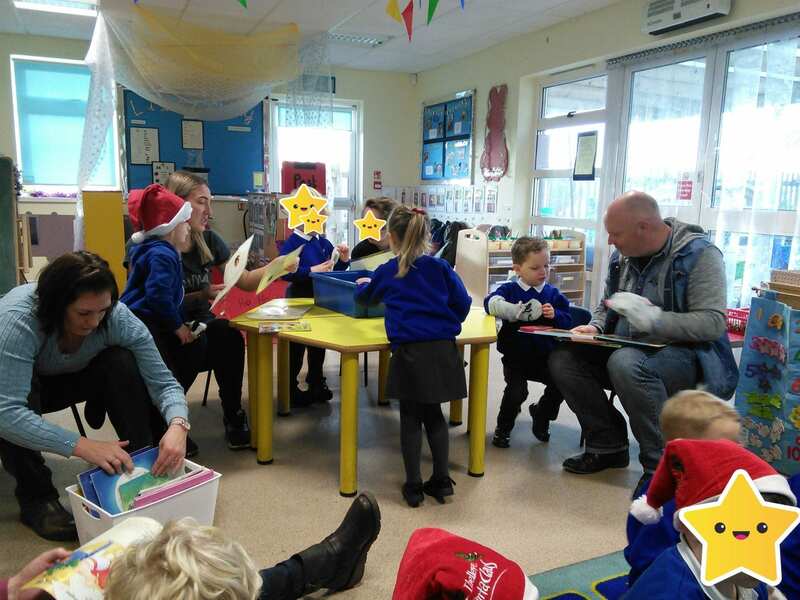 Class 1 Christmas fun day! What a lovely Christmas day we have had in class 1 today!!! 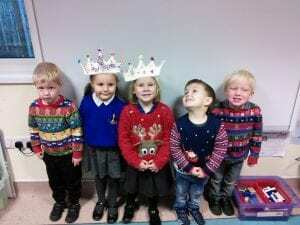 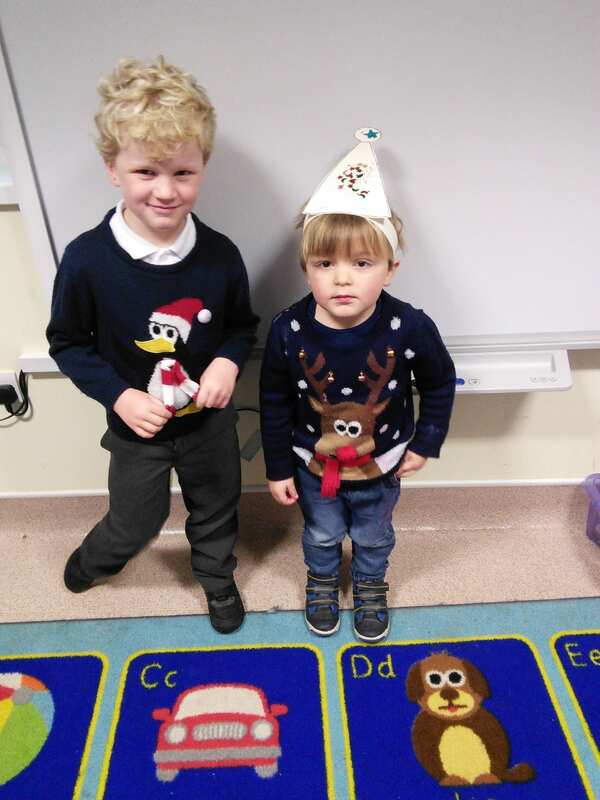 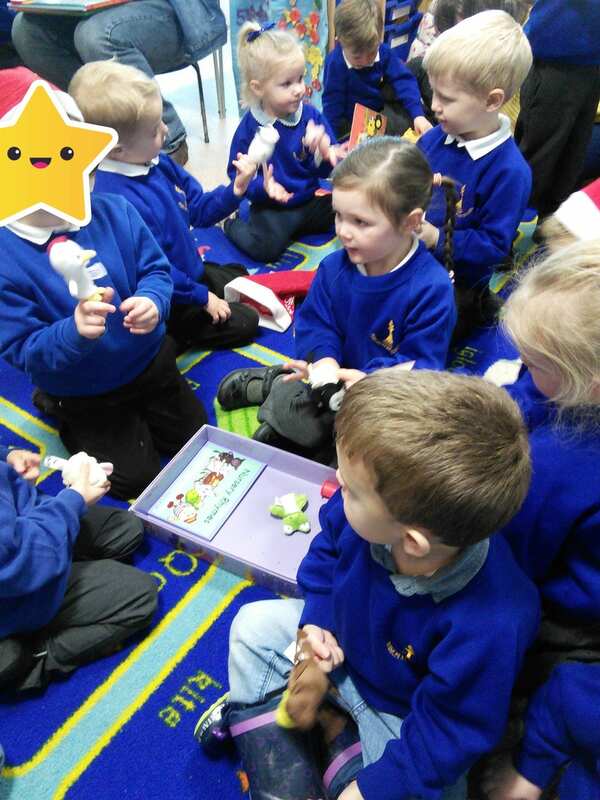 The children looked very festive in their Christmas jumpers and party hats. 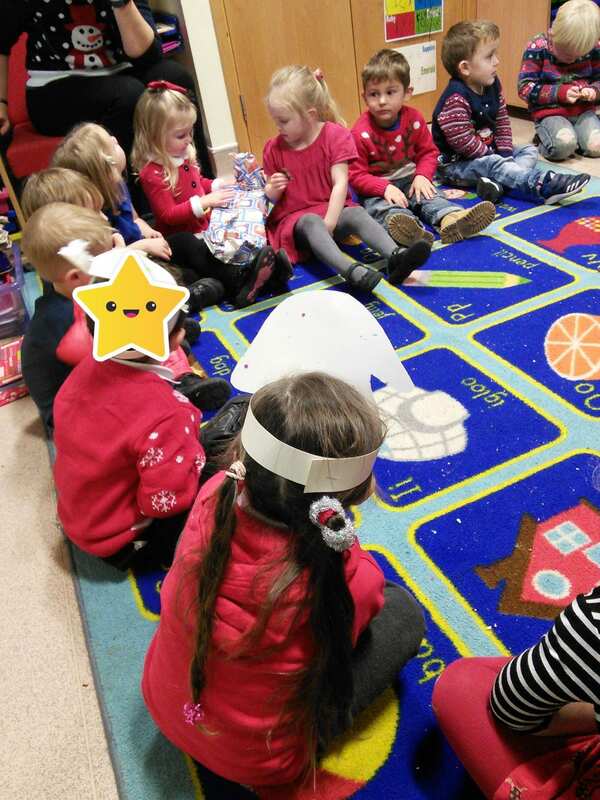 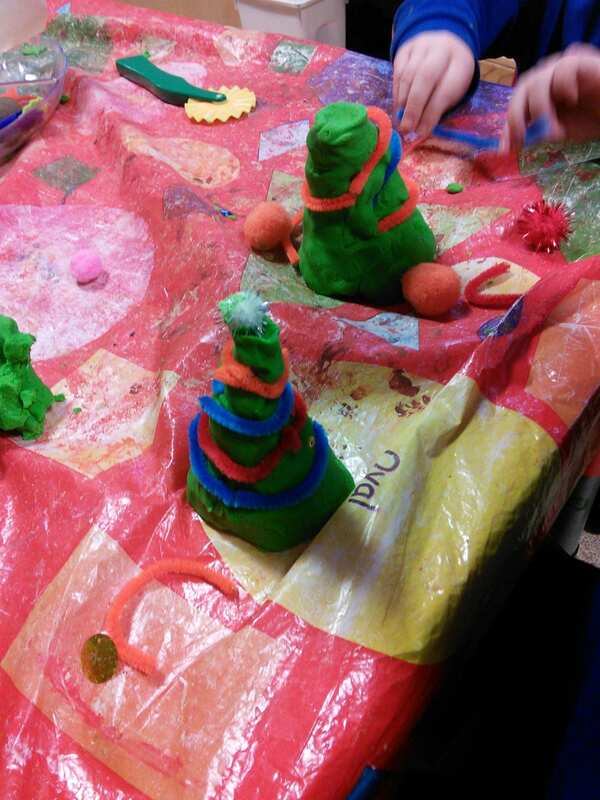 The children practiced our nativity play, explored our Christmas activities, and made Christmas party hats too. 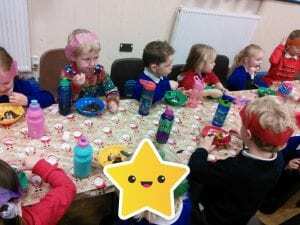 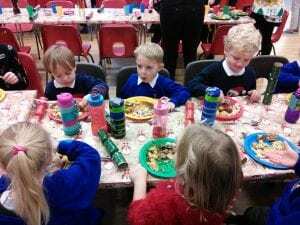 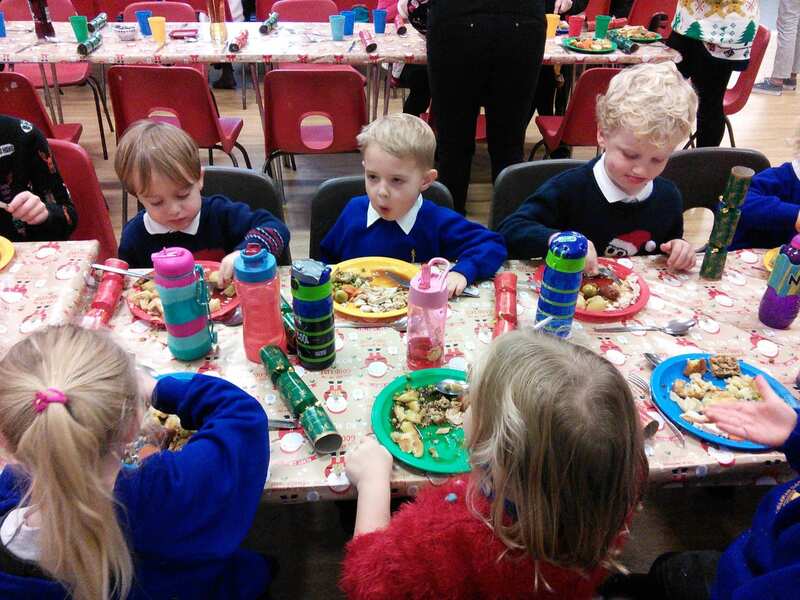 The children ate a yummy Christmas dinner today and loved pulling crackers with their friends too. We finished off our busy day with a Christmas party! 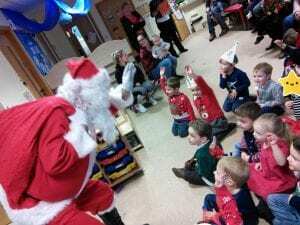 We played games, ate some party food, and we were visited by Father Christmas! 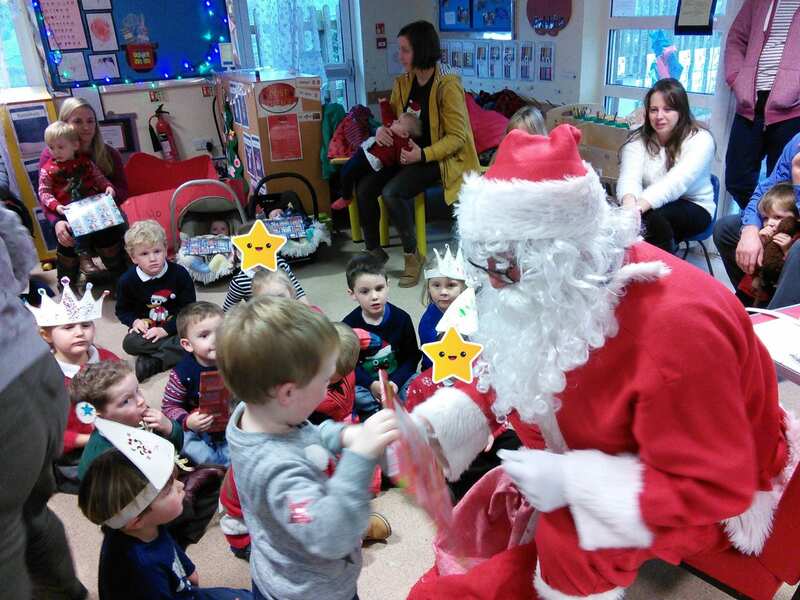 Each child received a special present from the special man himself. 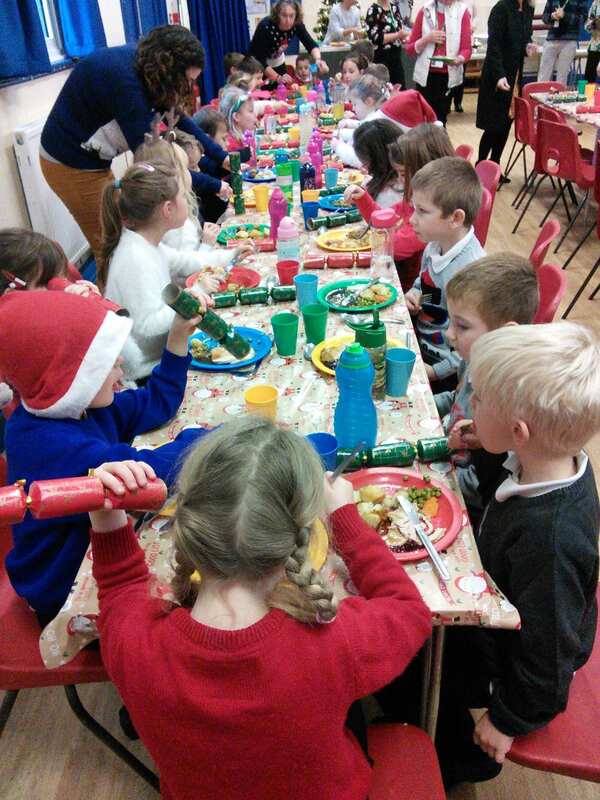 Thank you to all of the children and parents for attending our special party, we hope you had lots of fun!! 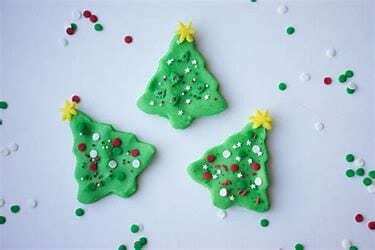 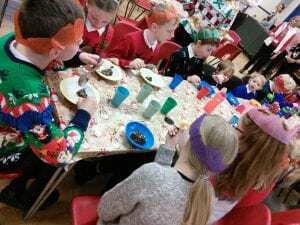 Christmas Dinner – Yum Yum! 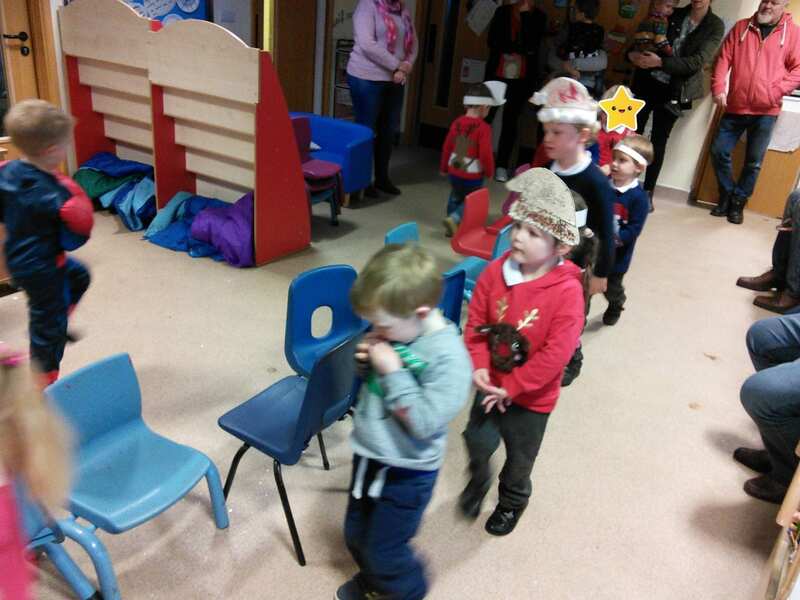 We have started our Christmas traditions off with a bang! It was lovely to see the children and staff celebrating Christmas together; looking festive in their Christmas jumpers and eating a yummy Christmas meal. 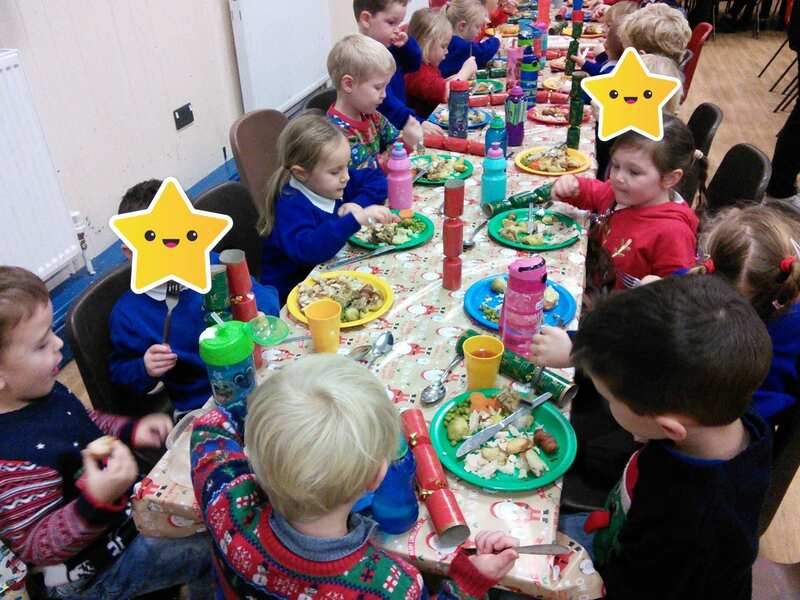 What a lovely scrummy Christmas dinner we shared together too-well done to the kitchen staff !! 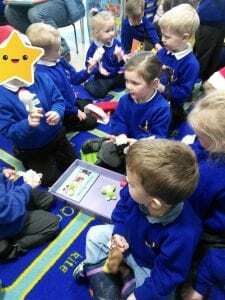 I am sure the highlight of the event was pulling crackers and telling jokes with our friends from all the laughter and fun we shared. 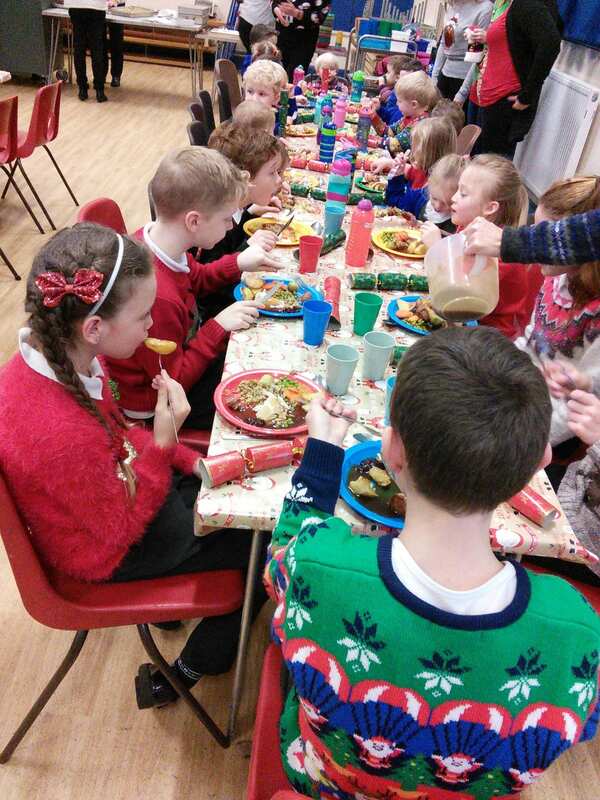 Thank you to all for arranging and celebrating such a festive, memorable event! 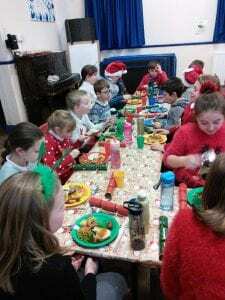 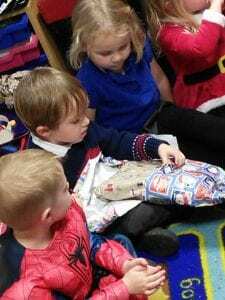 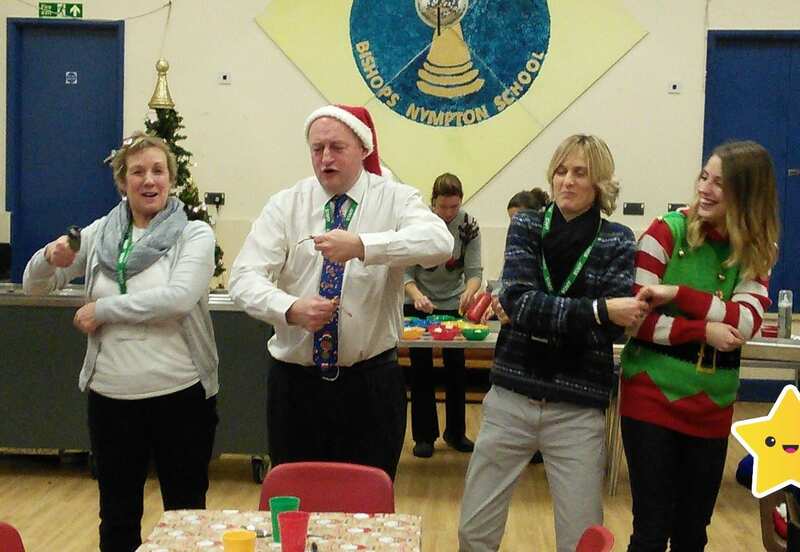 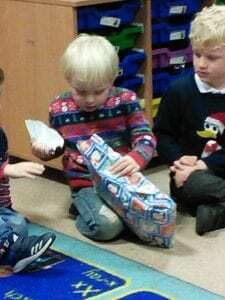 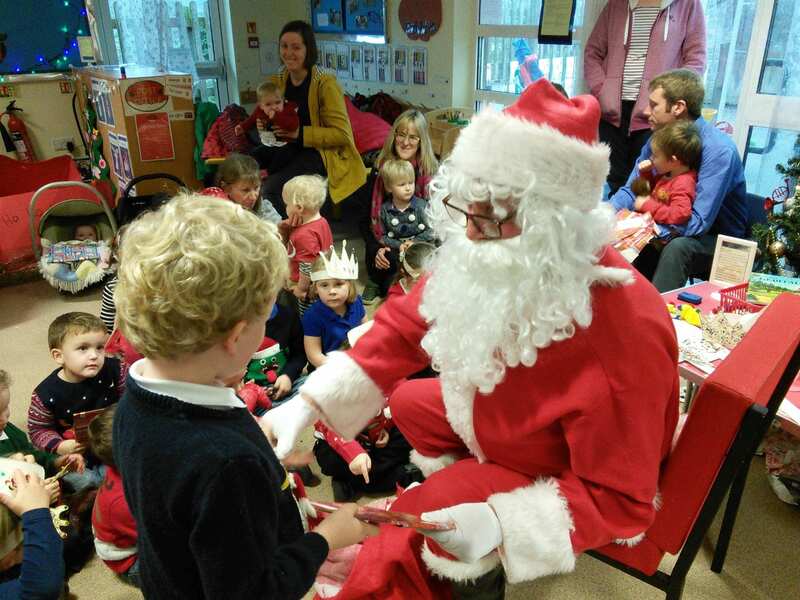 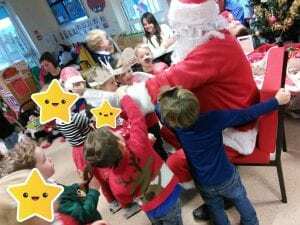 Please follow the link below about the class 1 Christmas party. 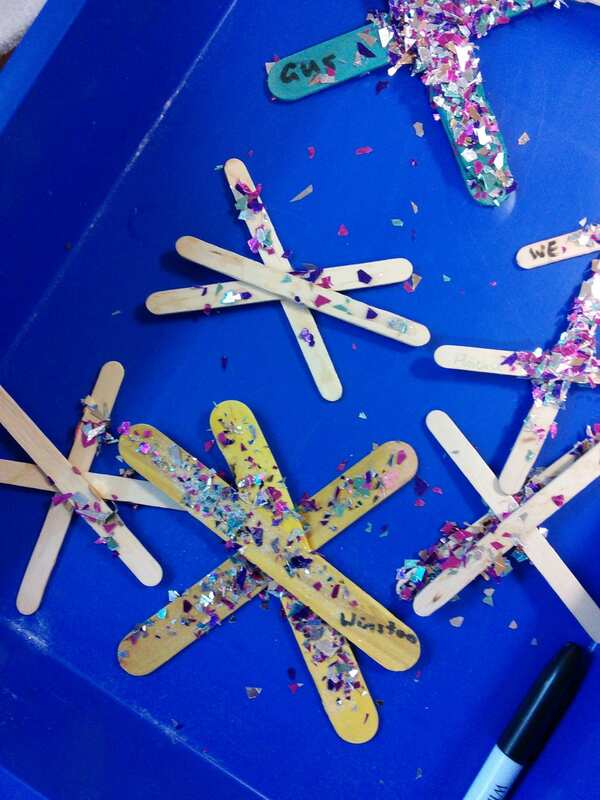 Your child’s personal invite is waiting for you in your child’s tray (invites went out on Friday). 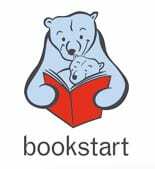 We are very lucky to be working with Surestart to offer a free child and parent Bookstart programme. 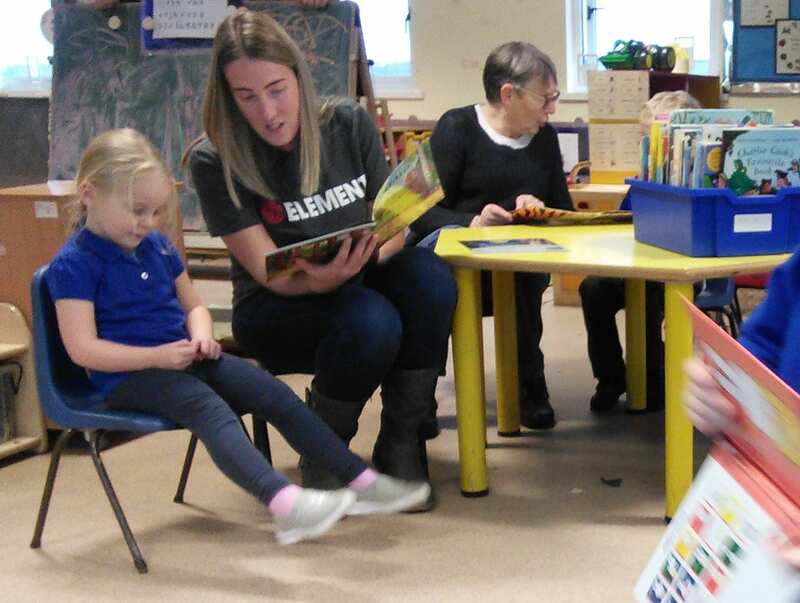 The BookStart programme provides an exciting opportunity for you and your child to share stories and rhymes together using a range of interactive resources. 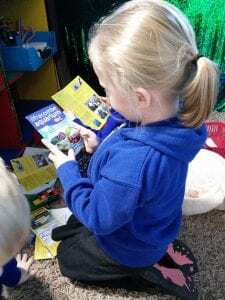 Each week you will receive free resources and tips to use and keep at home. The programme will last for 2 more weeks. 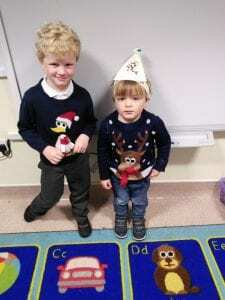 The next session will be held on Tuesday 4th December 2018 at 9.15am in class 1 (this is a change to the normal arrangements for this week only). 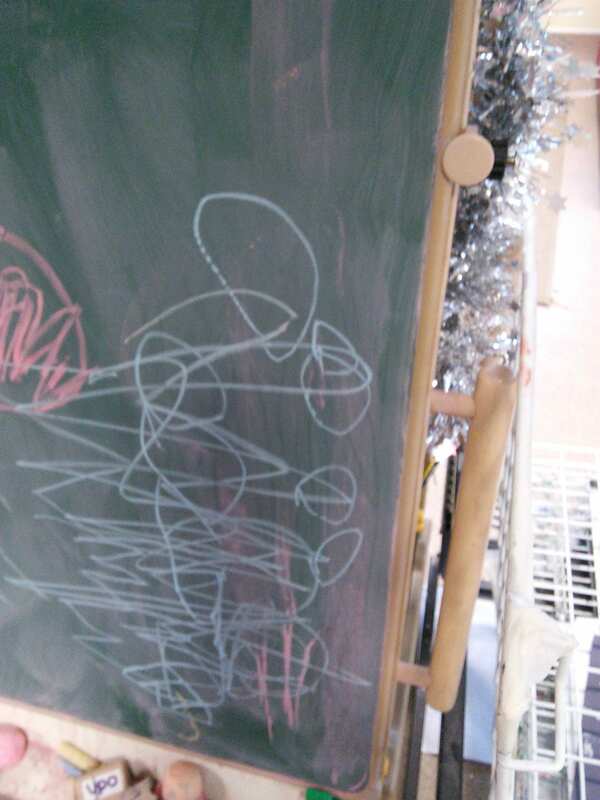 It will start at 9.15am and will finish at 10am. 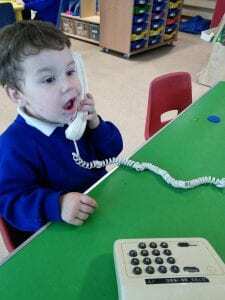 Nursery children who do not normally attend the Tuesday morning session are also invited to attend along with an adult from 9.15am until 10am. 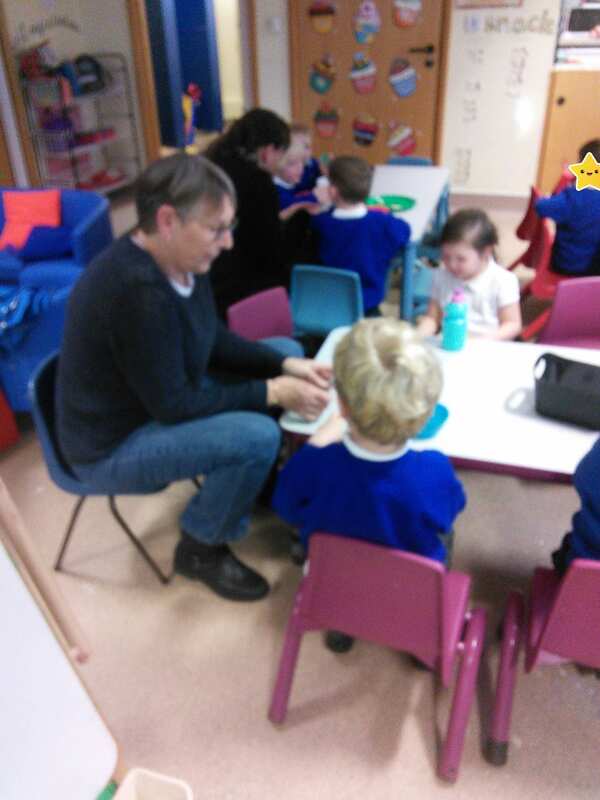 We look forward to seeing you all and thank all the parent’s that have attended so far. 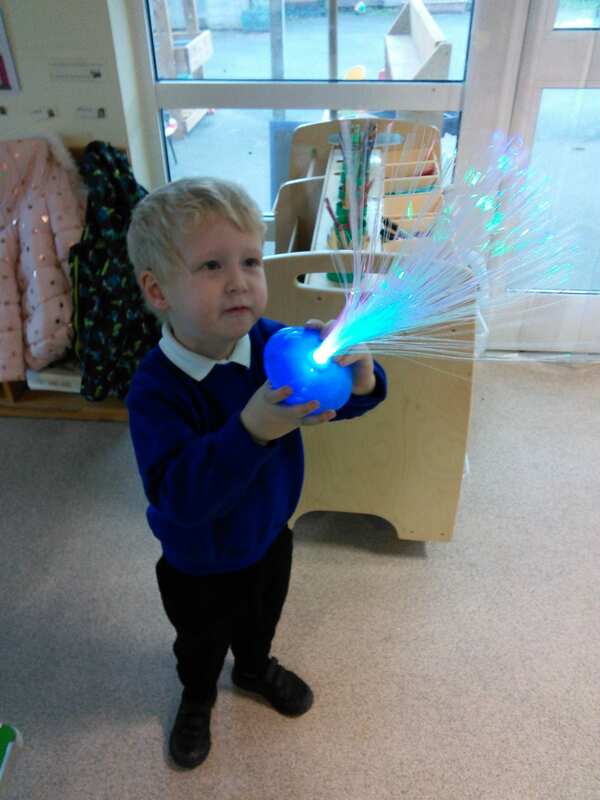 As part of our ‘Wonderful Me’ topic we have been busy exploring the celebration of light this week. 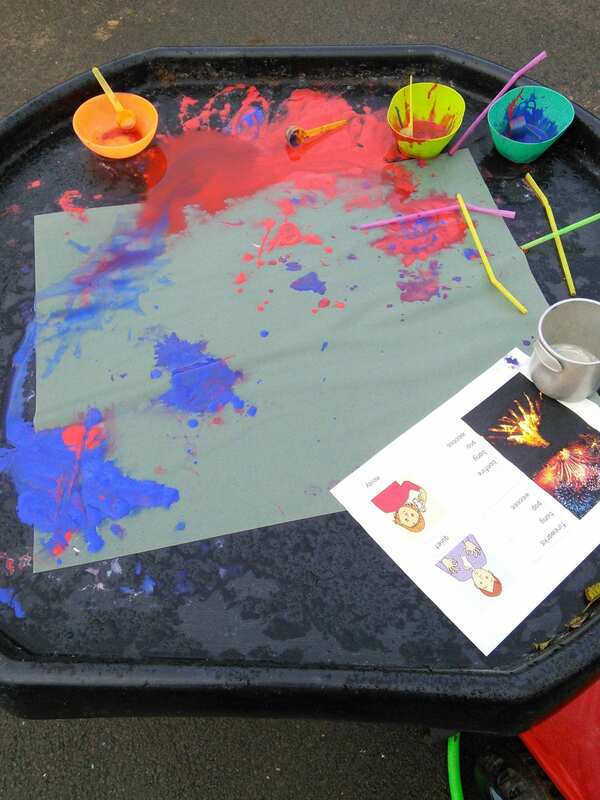 The children have been busy learning about Guy Fawkes, fireworks, bonfires and Diwali. 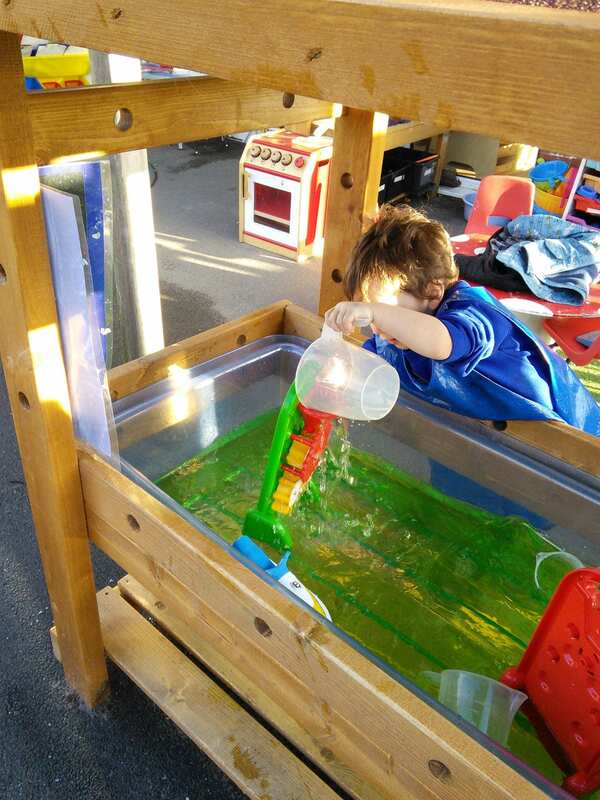 The children have also been developing their concepts about hot and cold. 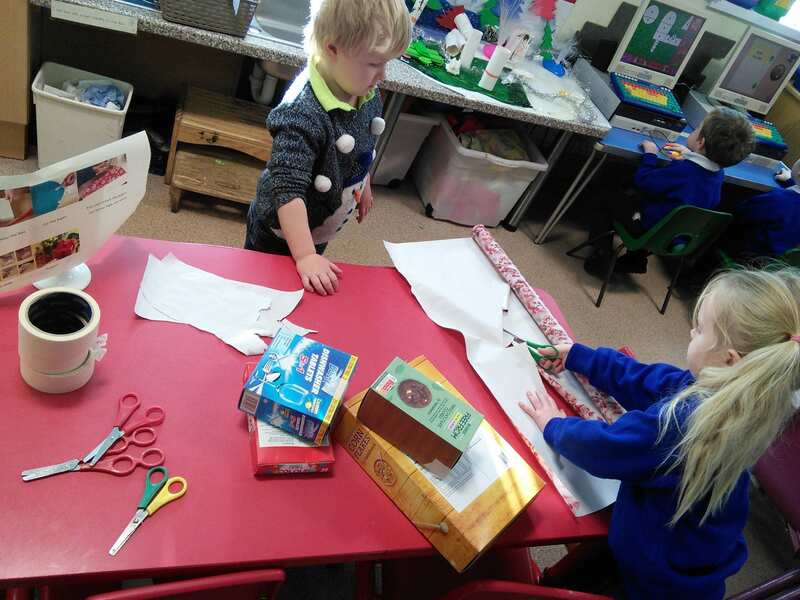 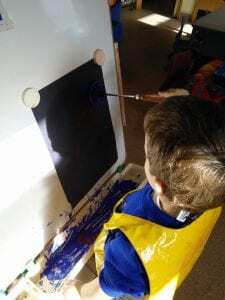 The children have been very creative this week, developing different skills and techniques in various light activities. The children have made sparklers. 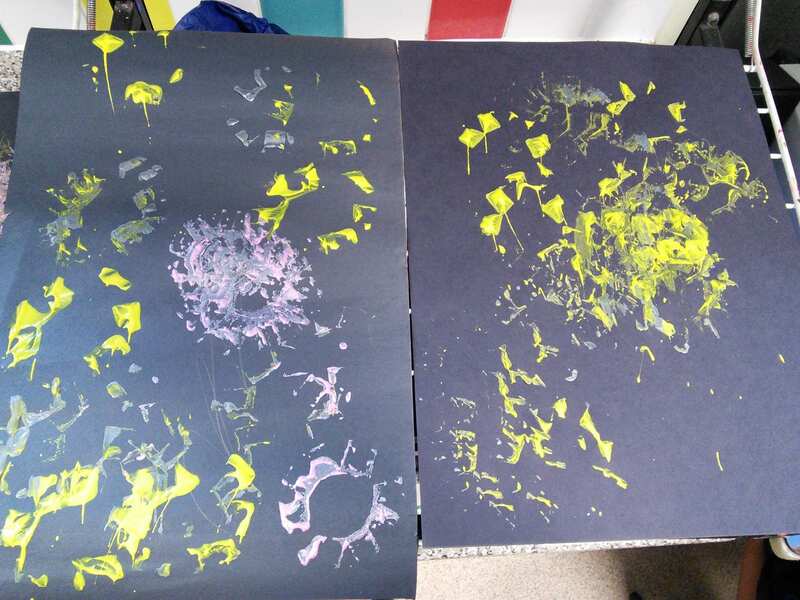 The children have been mark making and printing fireworks, bonfires and Diwali pictures using a range of skills and mediums. 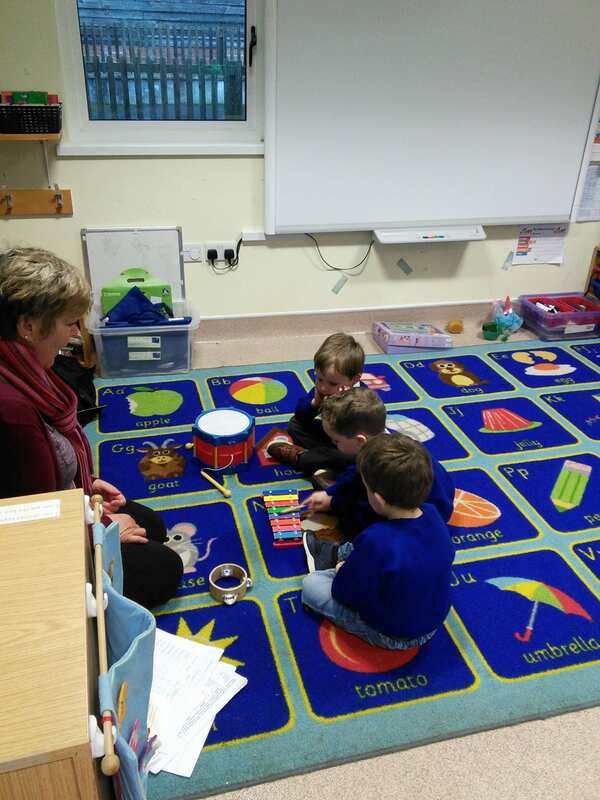 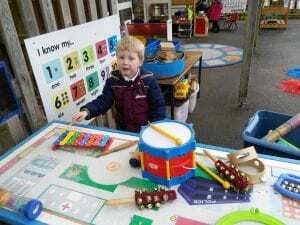 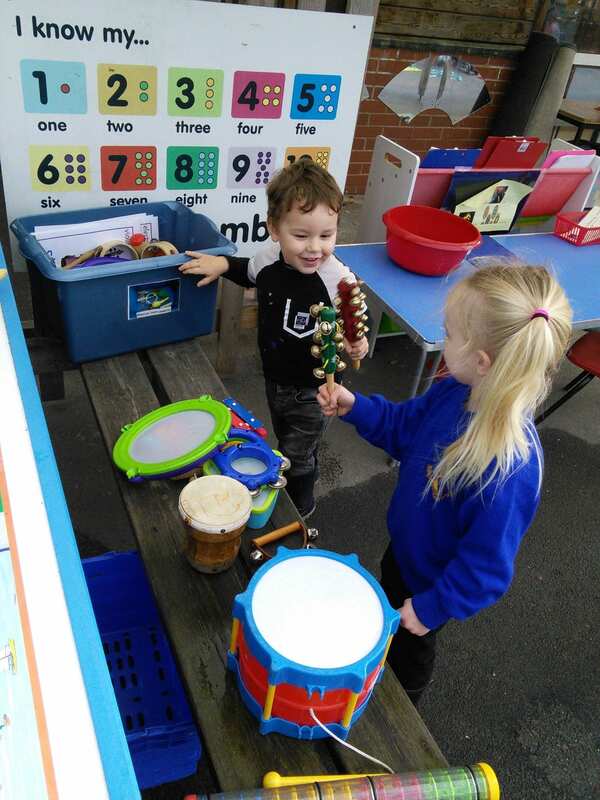 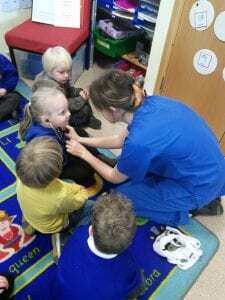 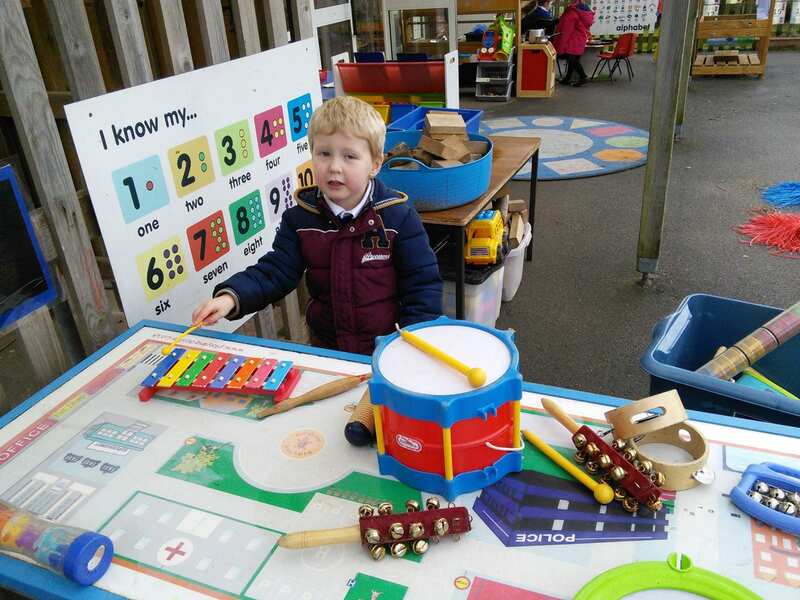 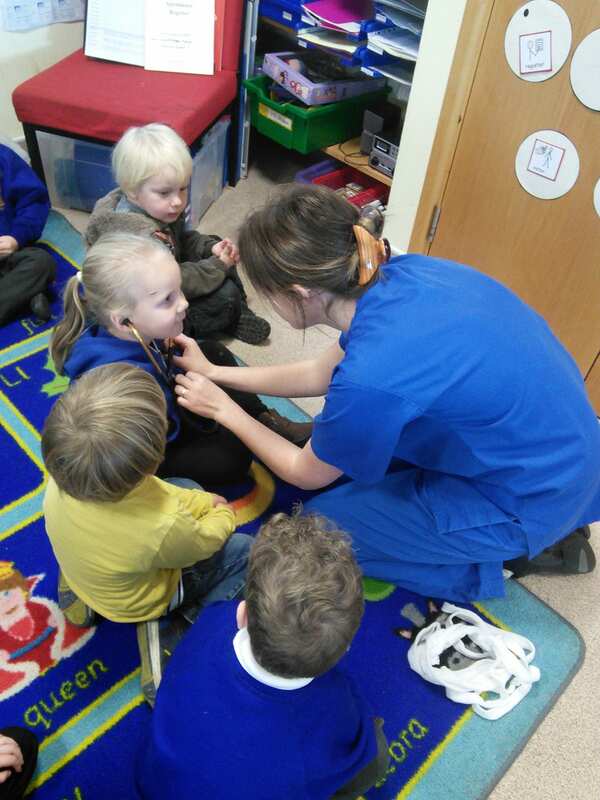 The children have been making firework sounds with the instruments and with their voices. 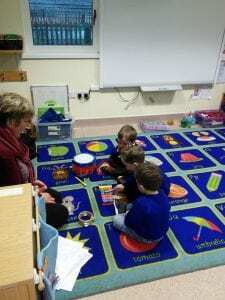 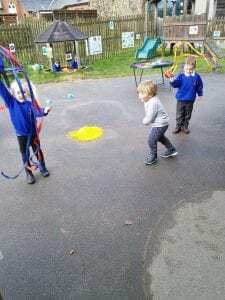 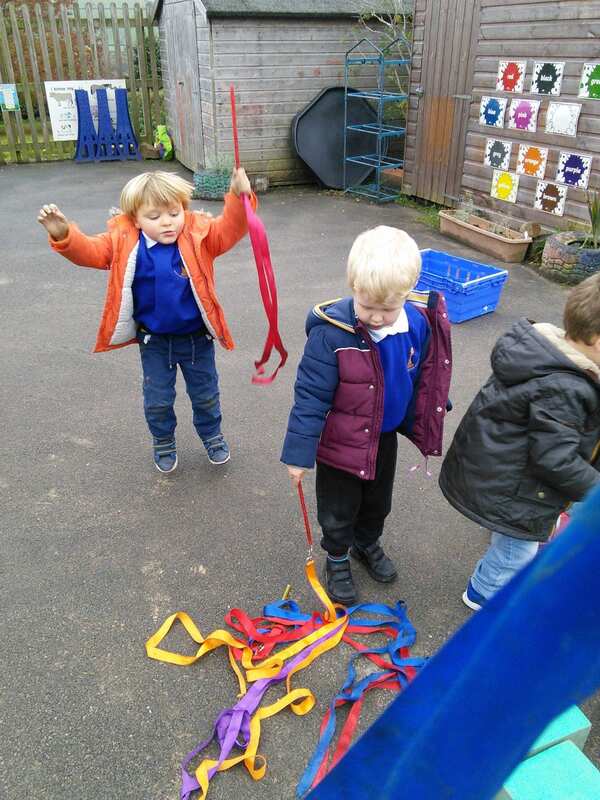 The children also combined the sounds they made with ribbon play. 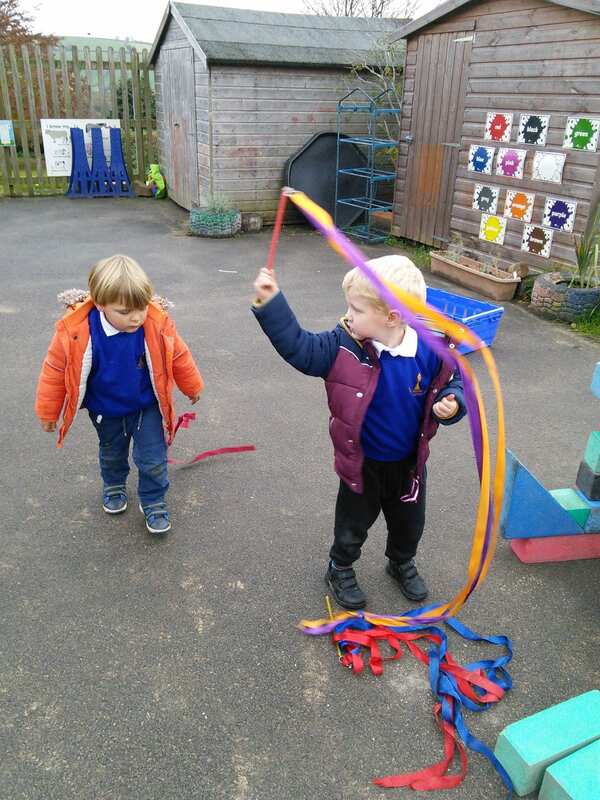 “Bang, weeee, whoosh, pop”! The children have been building and creating fireworks and firework rockets that will explode in the sky (only pretending). 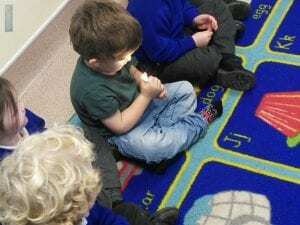 The children have been exploring light with the light toys. The children are still busy creating their Diwali lamps. 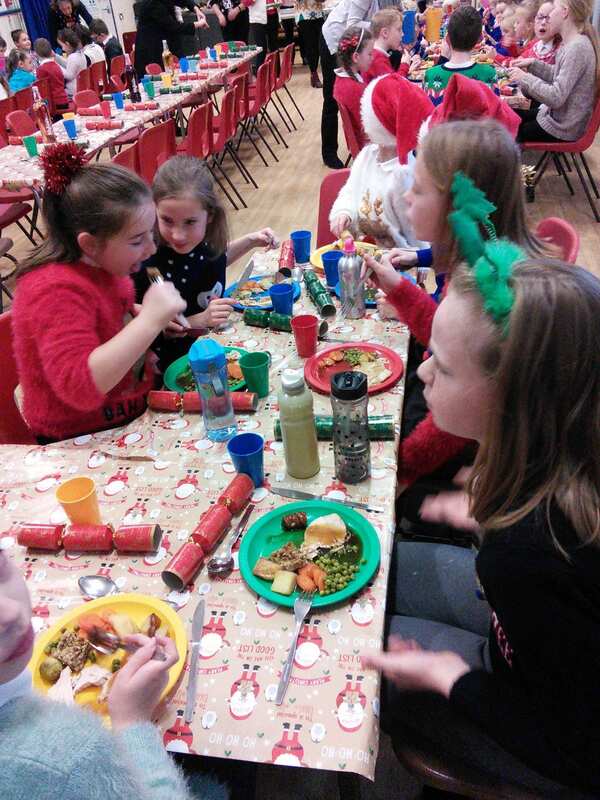 More photos to follow!